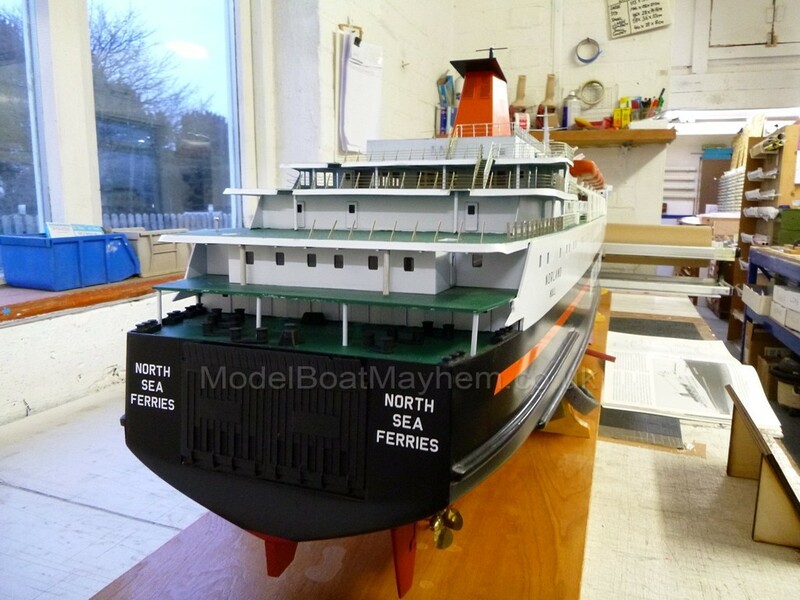 I thought that you might like more news from Deans Marine at the edge of the world in Farcet. 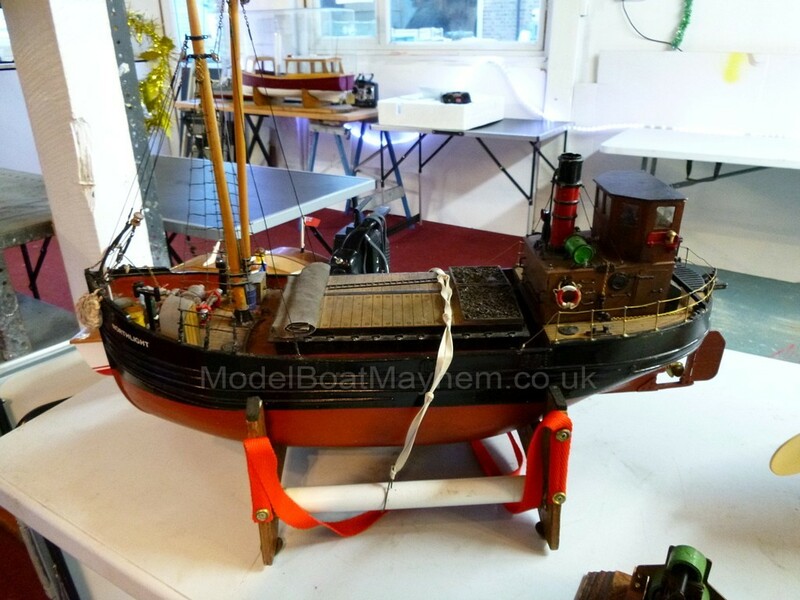 We will be holding our Christmas open weekend on the 16 - 17th December 10 am –4pm. 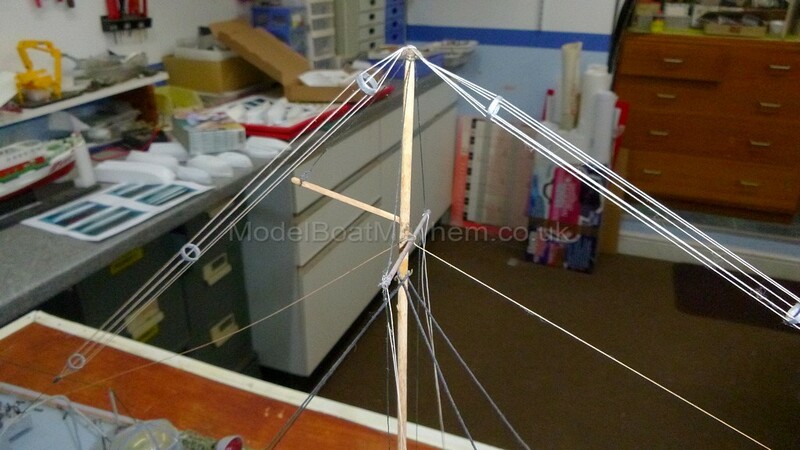 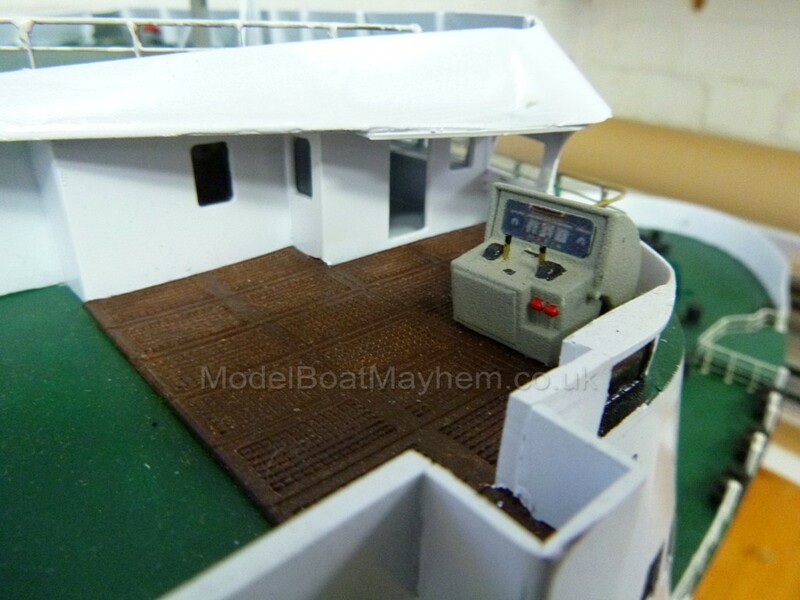 The shop will be open for all the last minute parts and goodies you require for modeling over the holiday period. 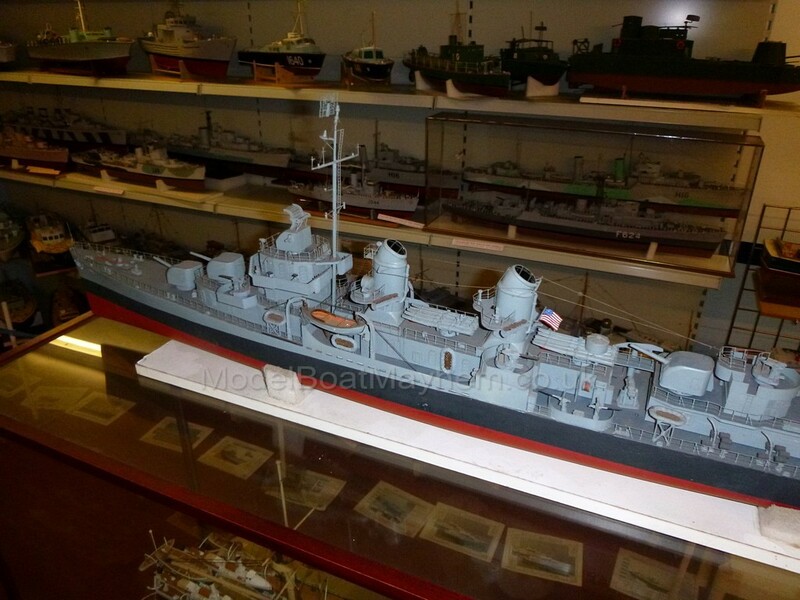 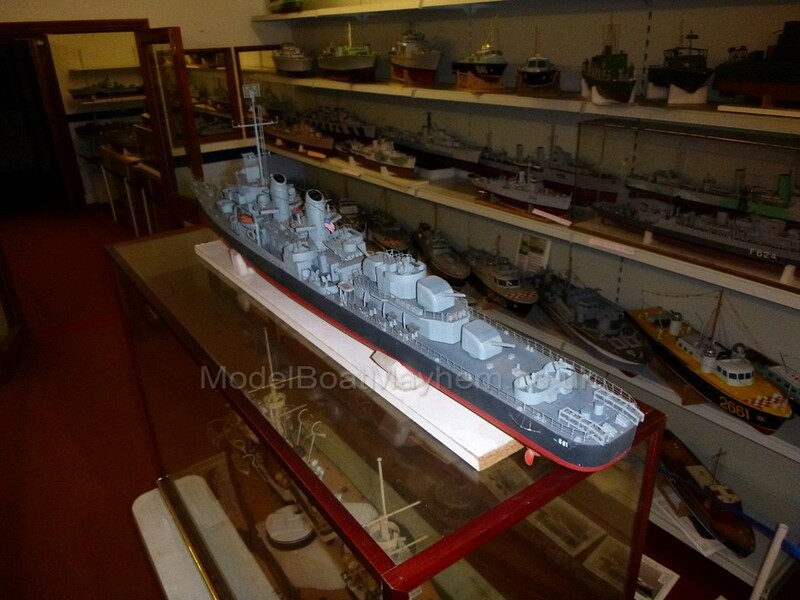 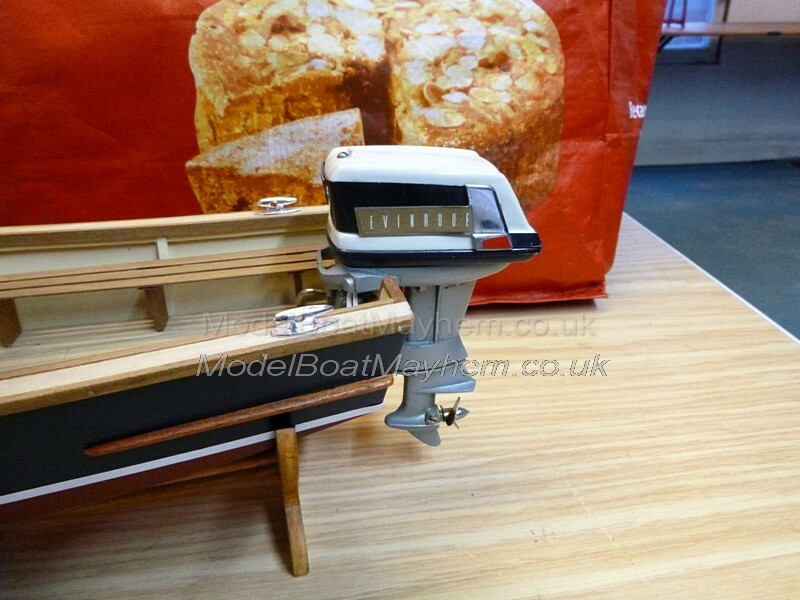 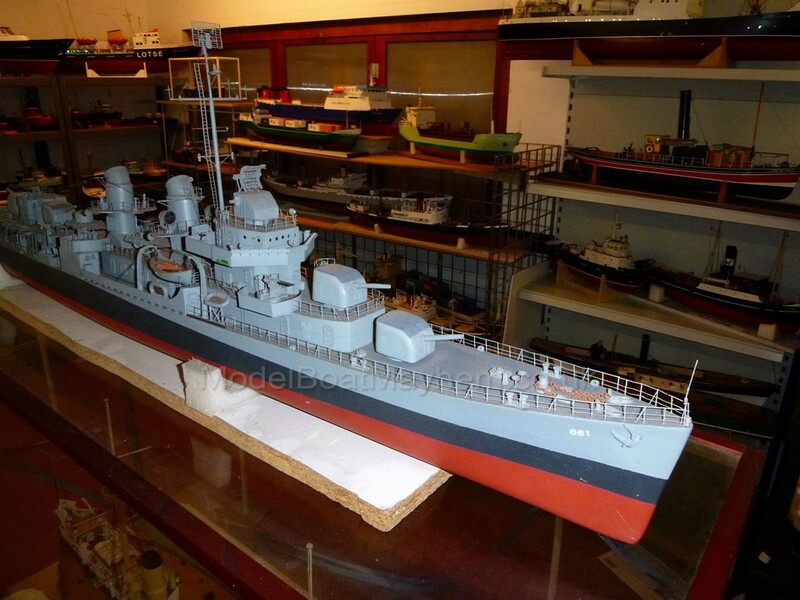 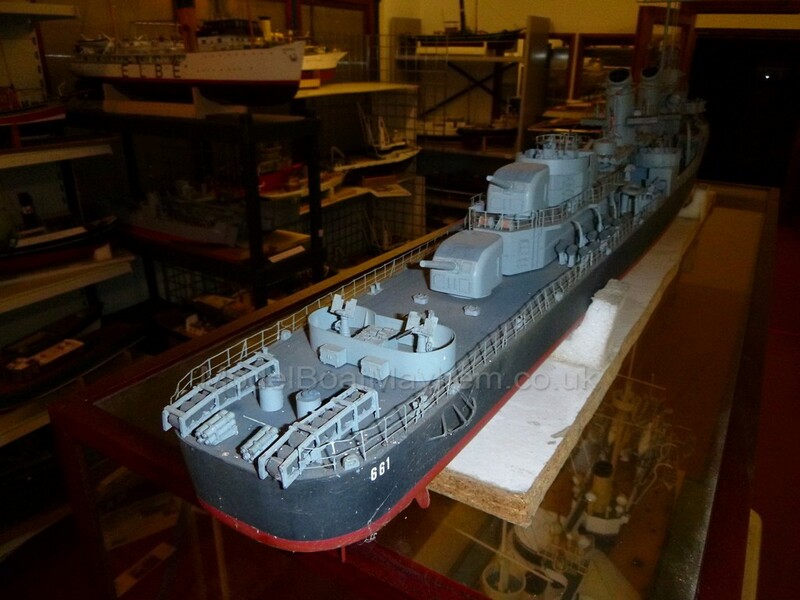 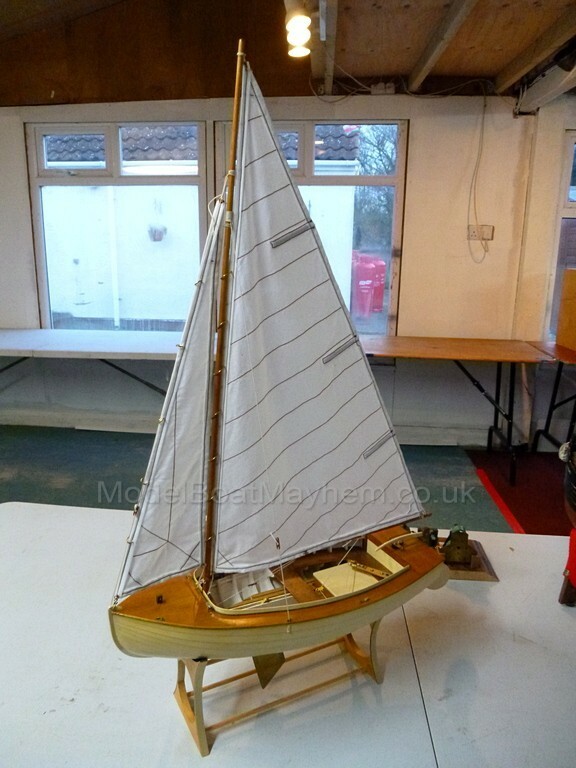 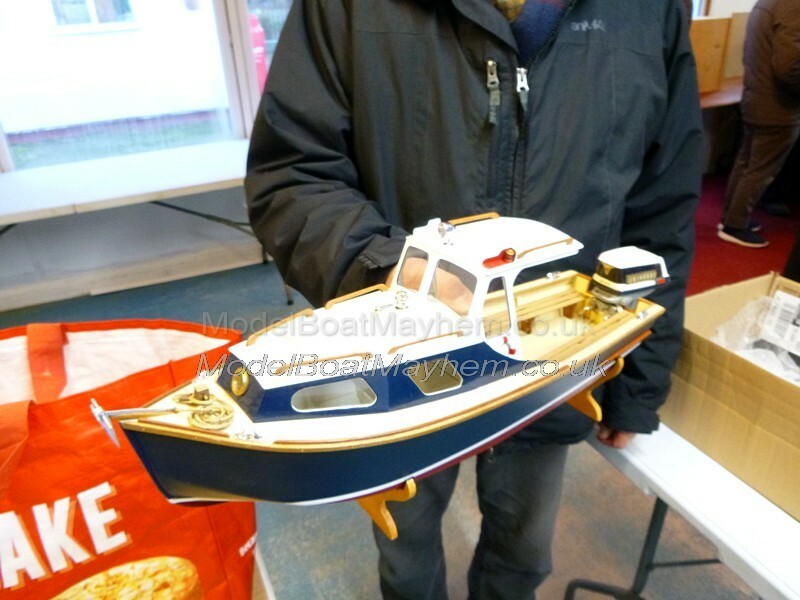 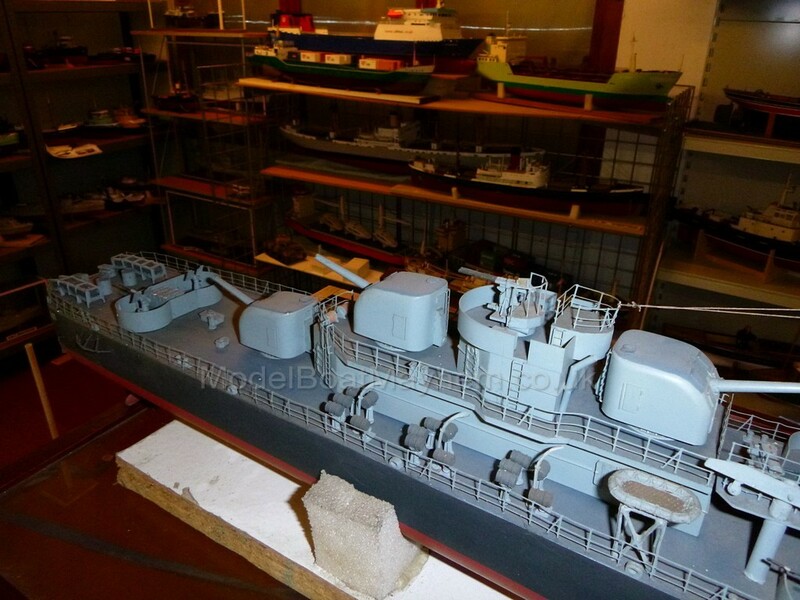 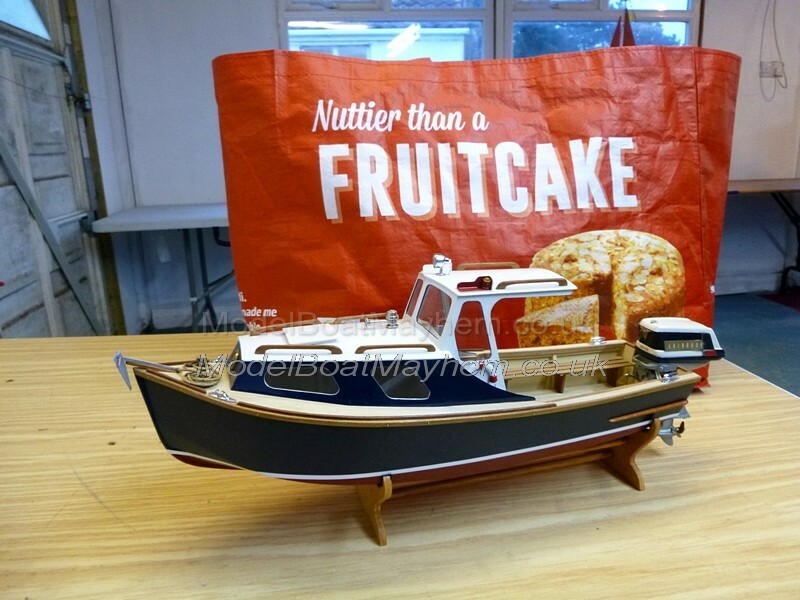 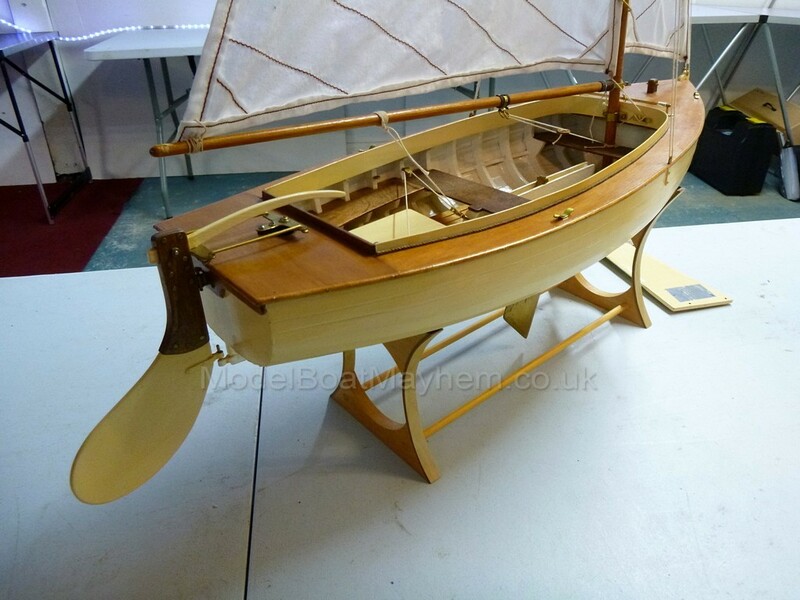 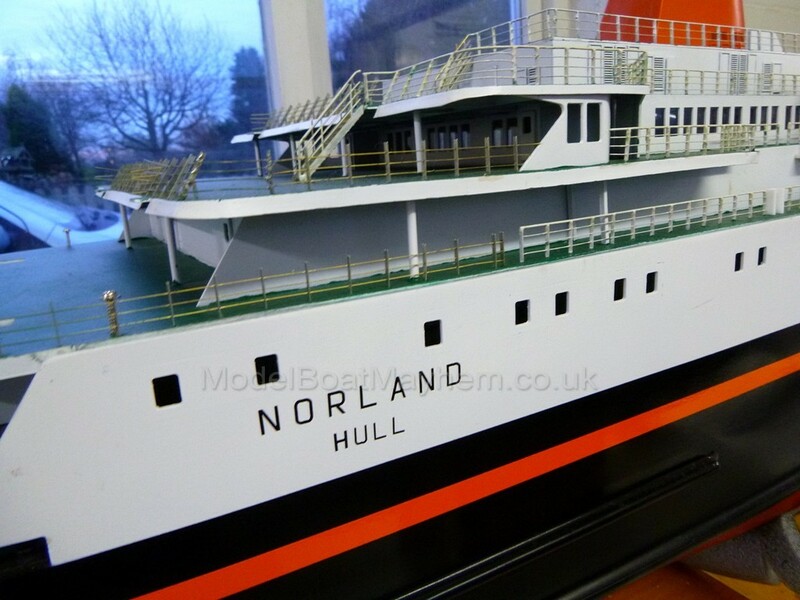 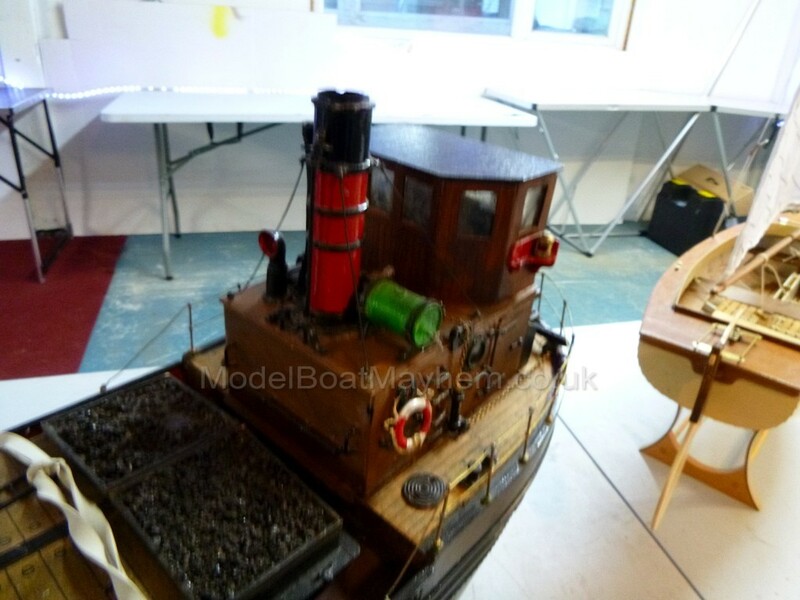 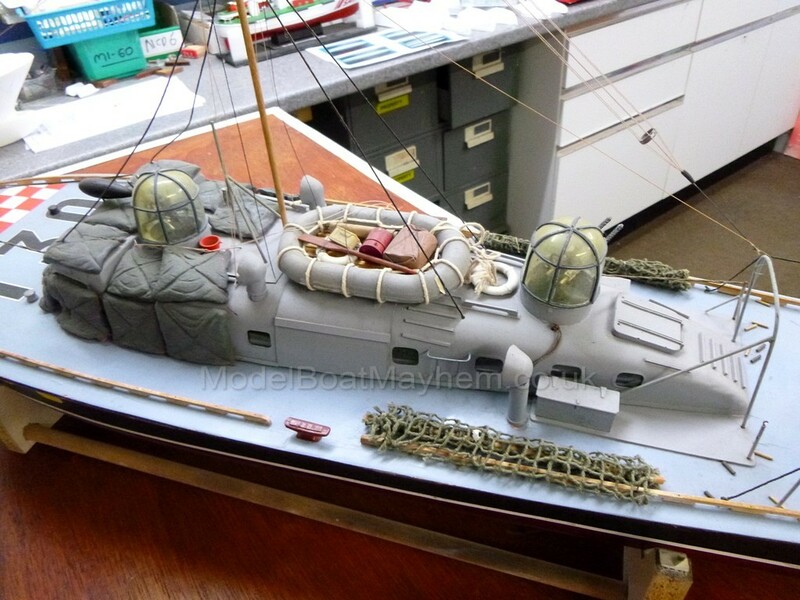 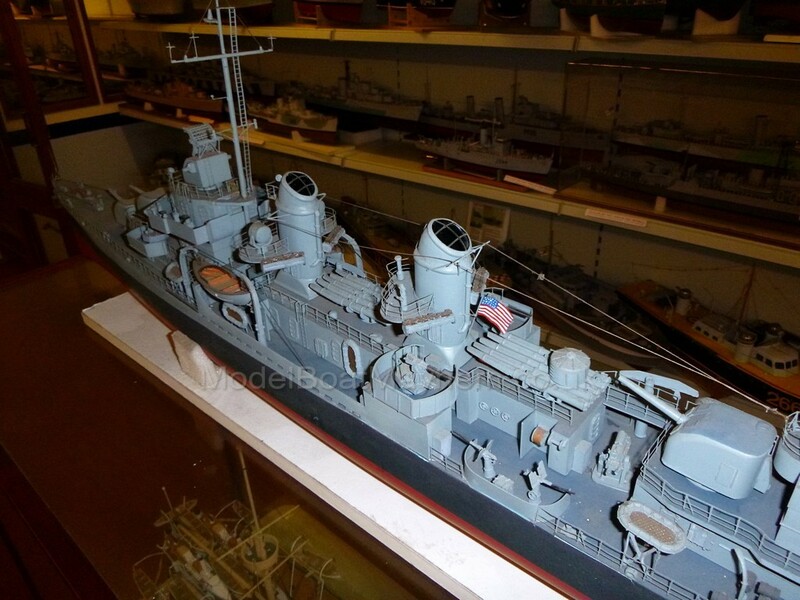 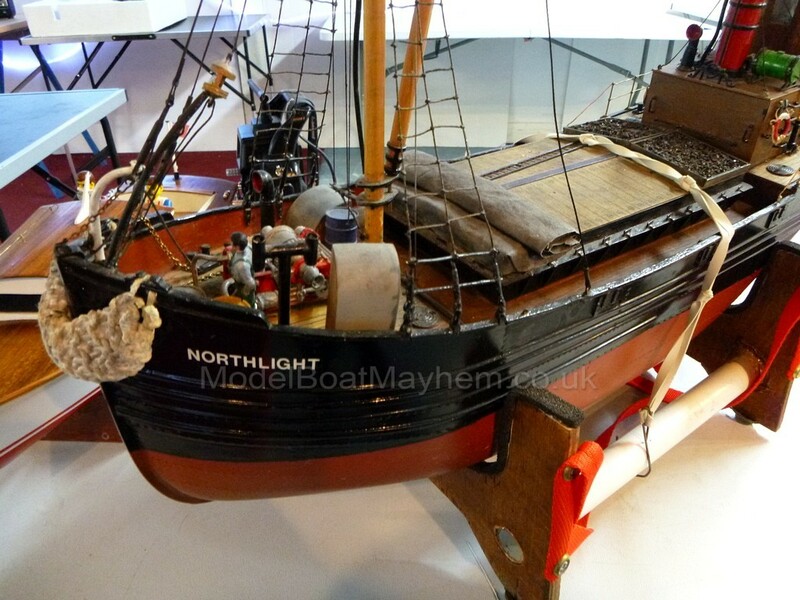 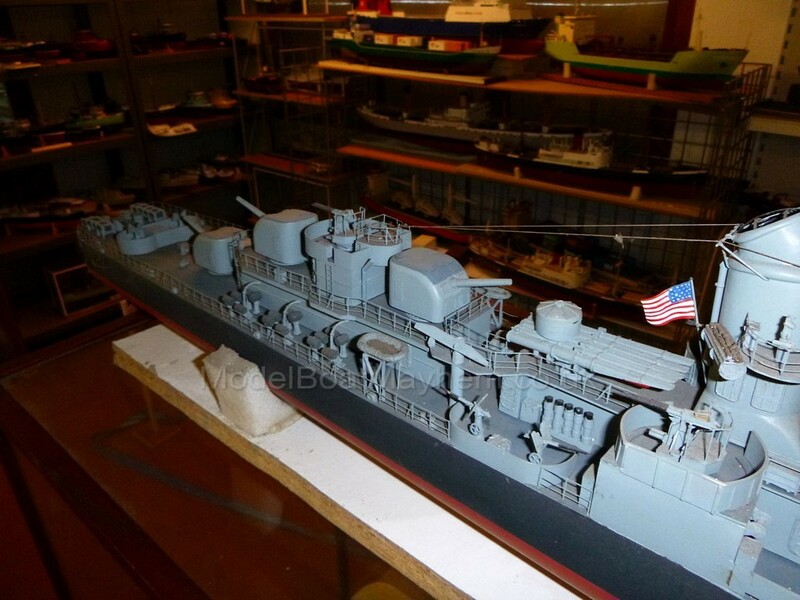 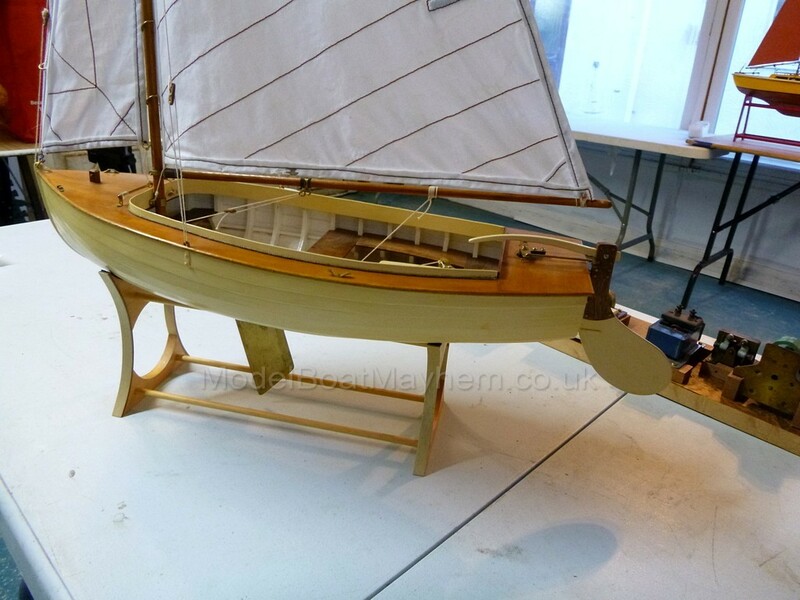 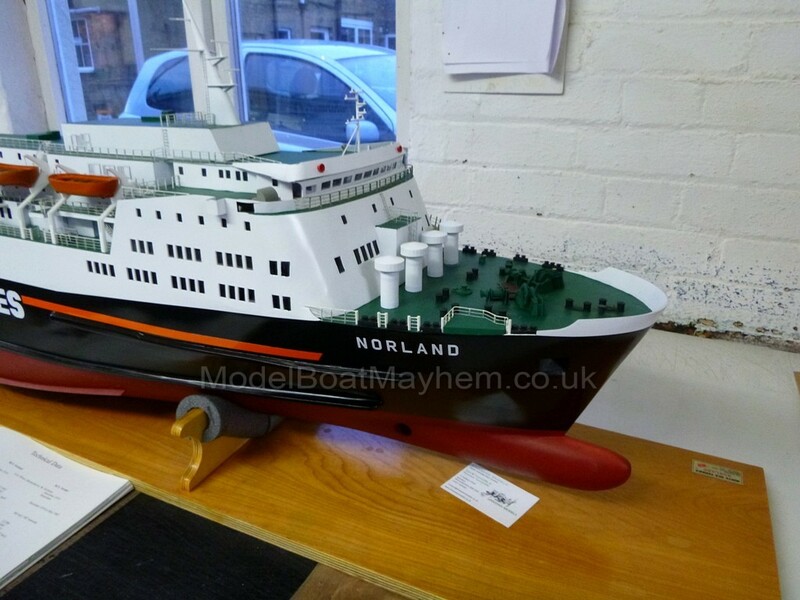 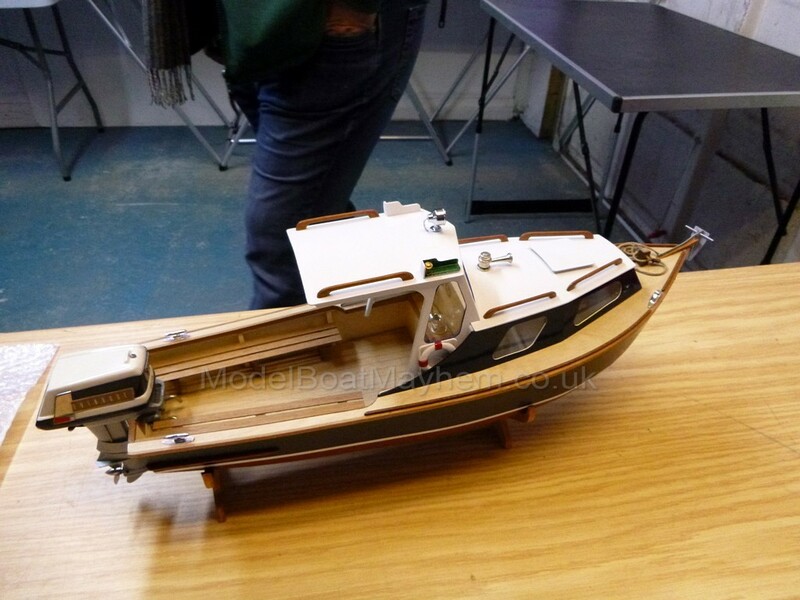 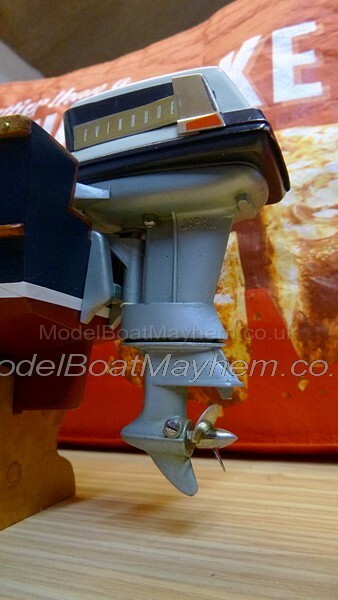 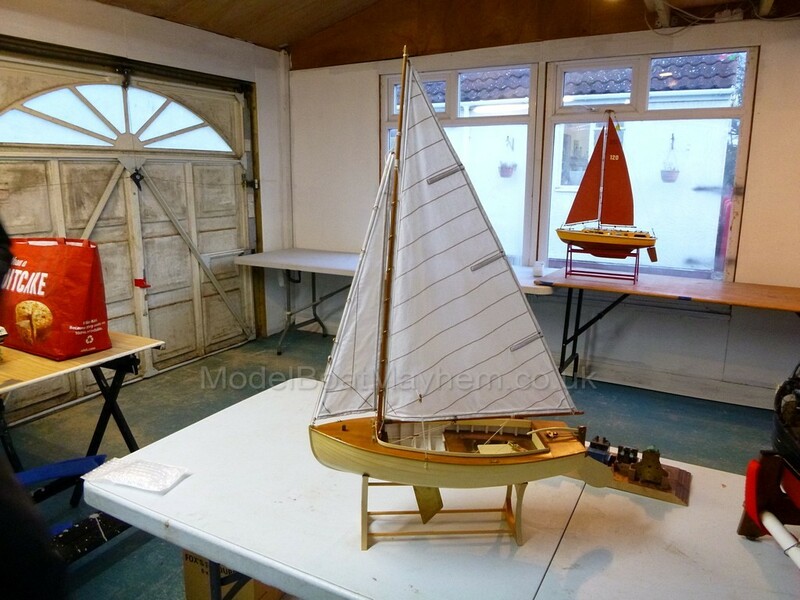 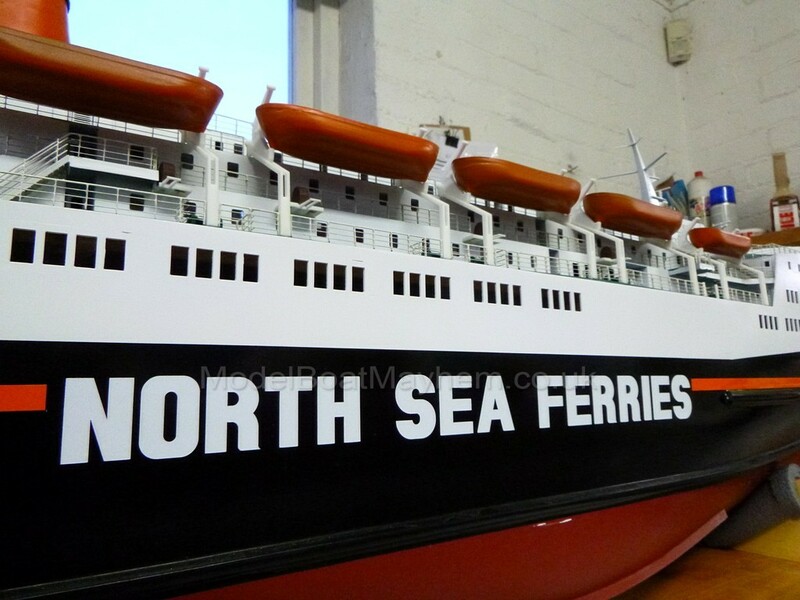 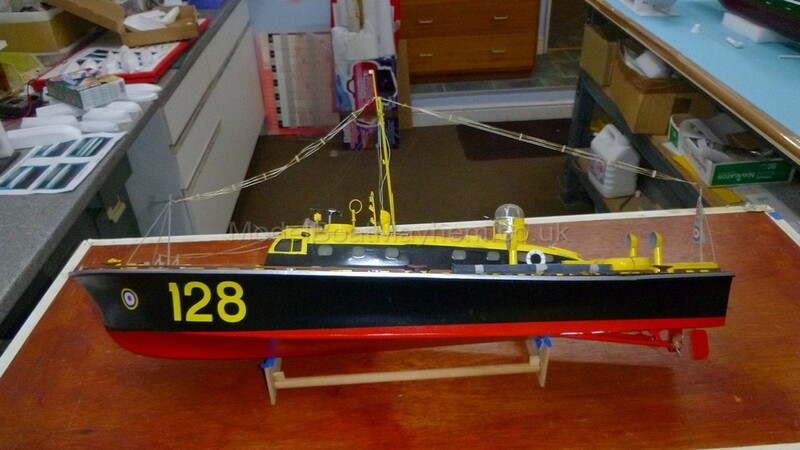 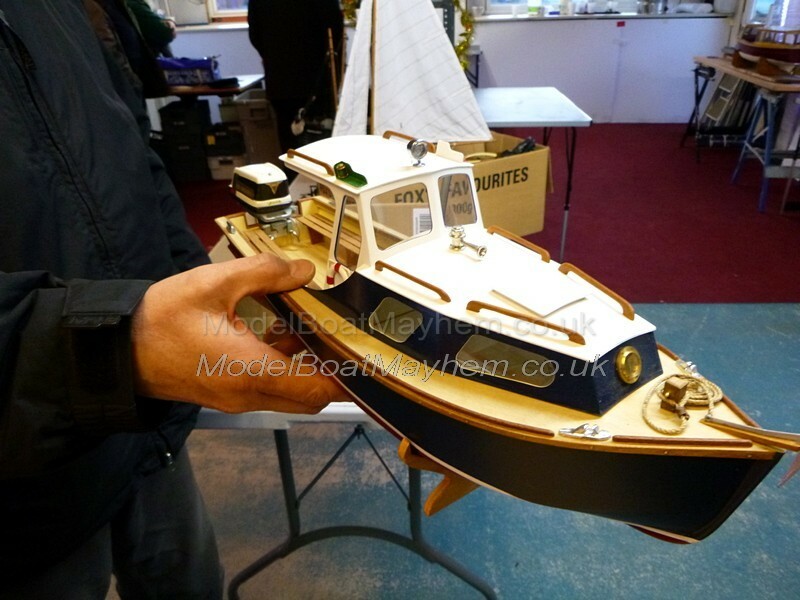 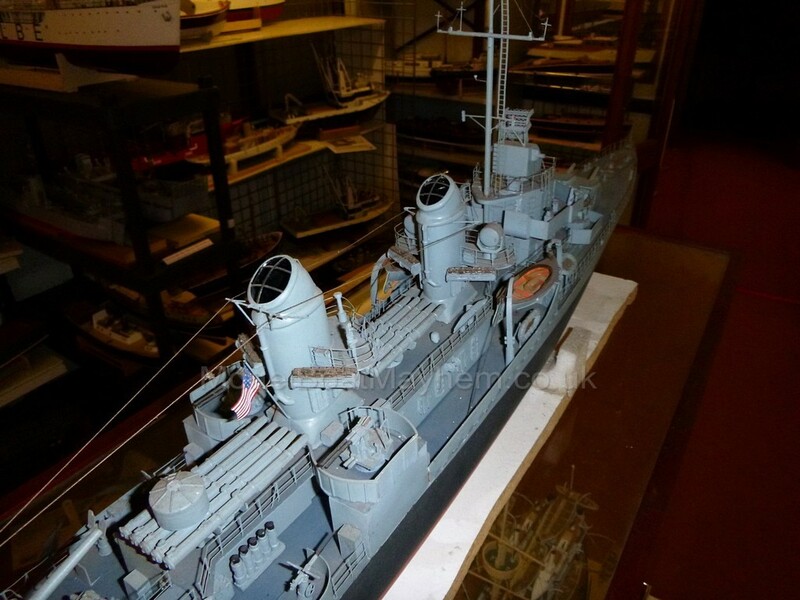 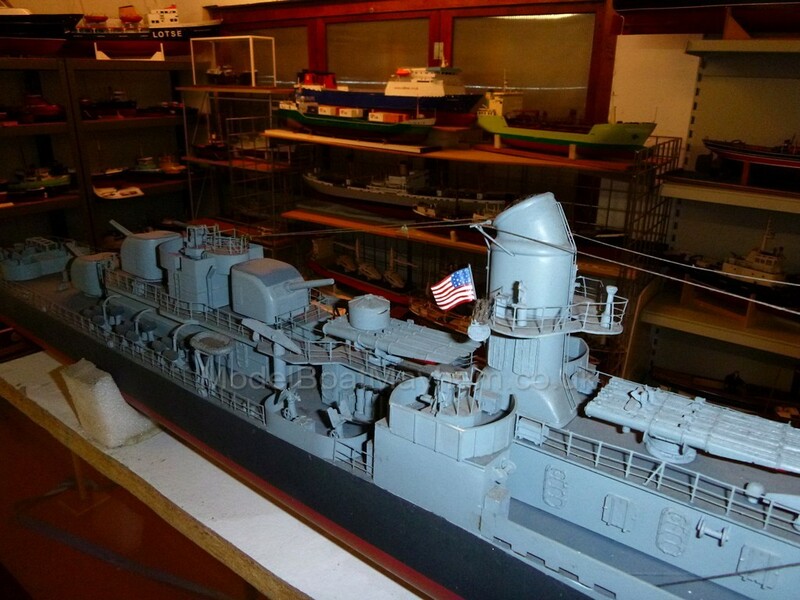 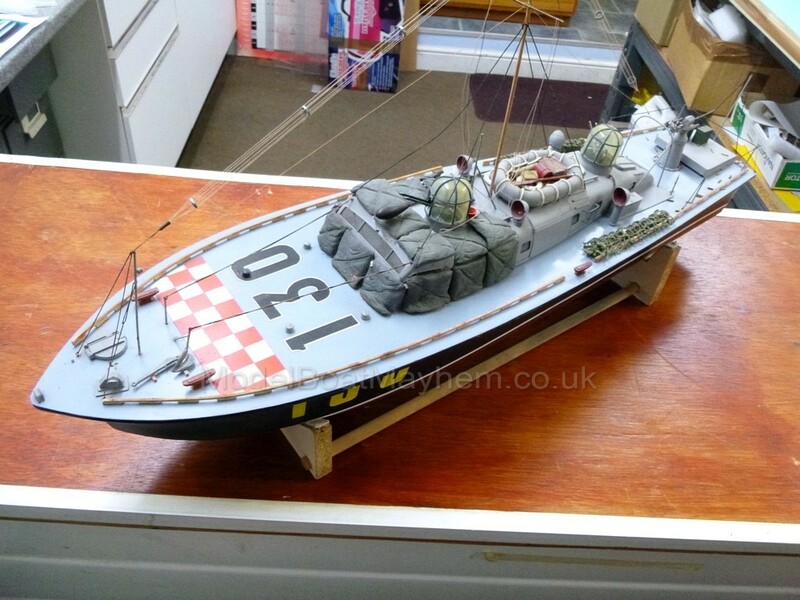 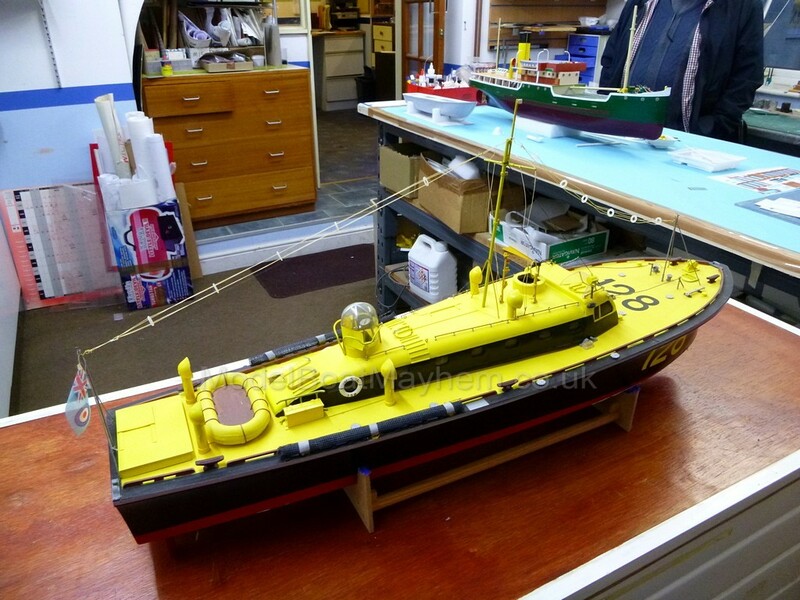 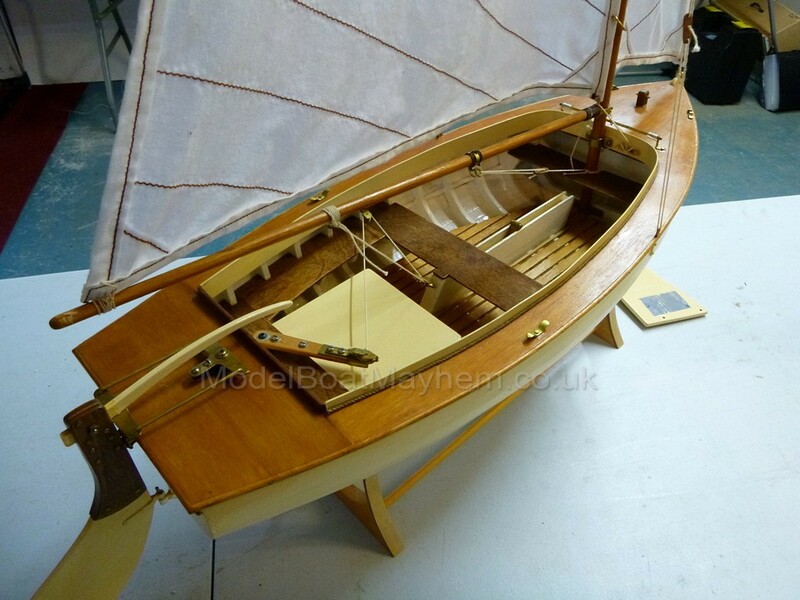 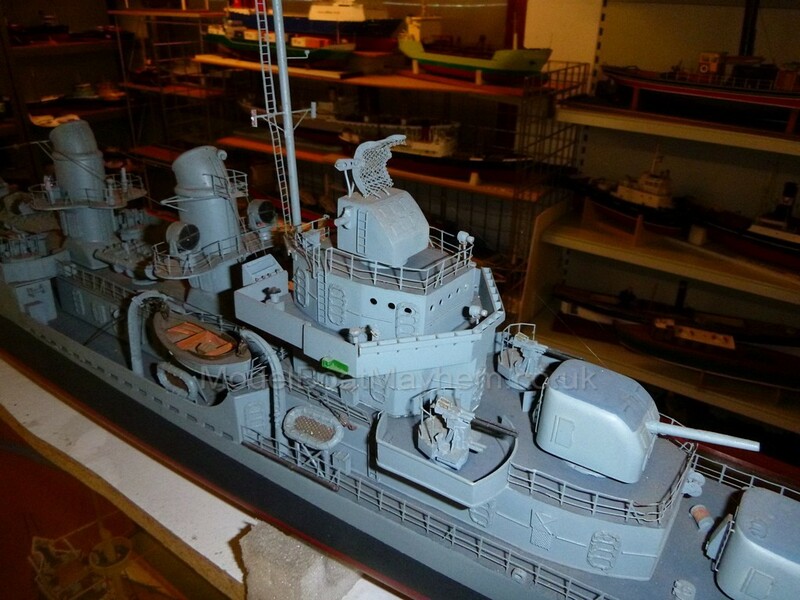 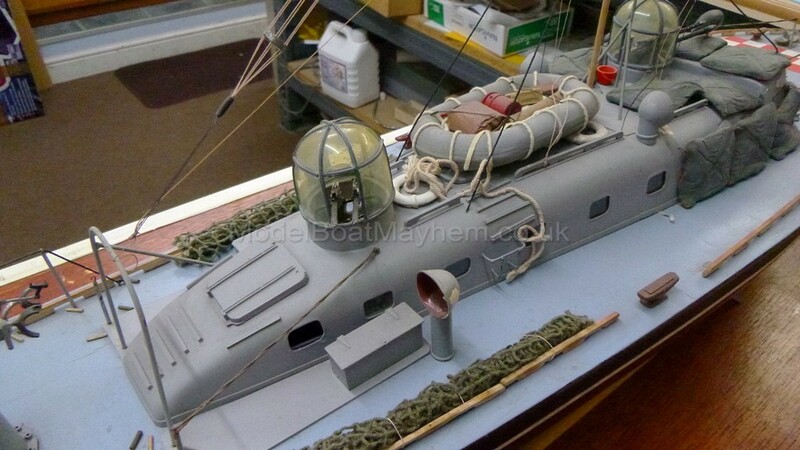 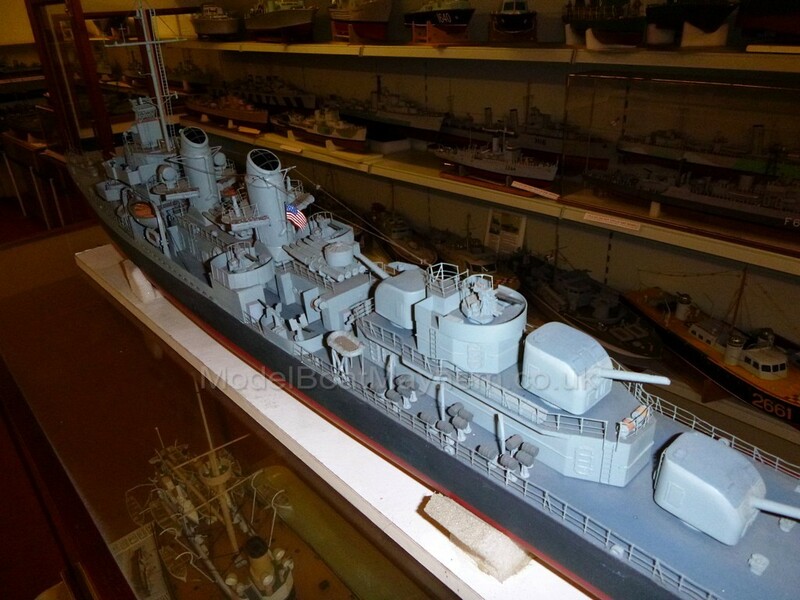 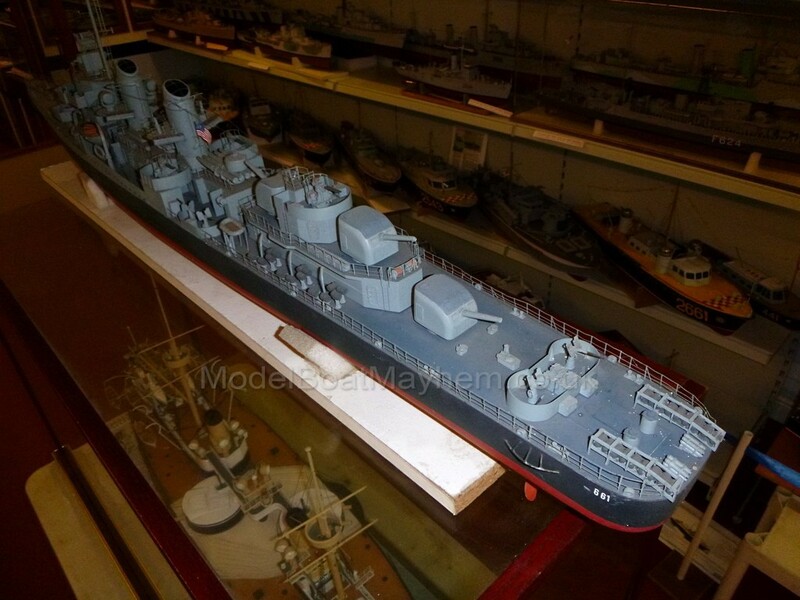 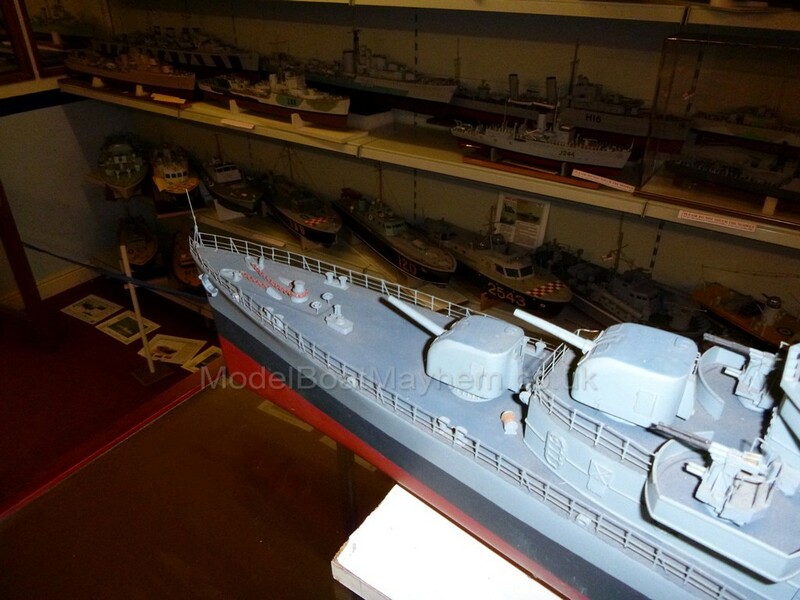 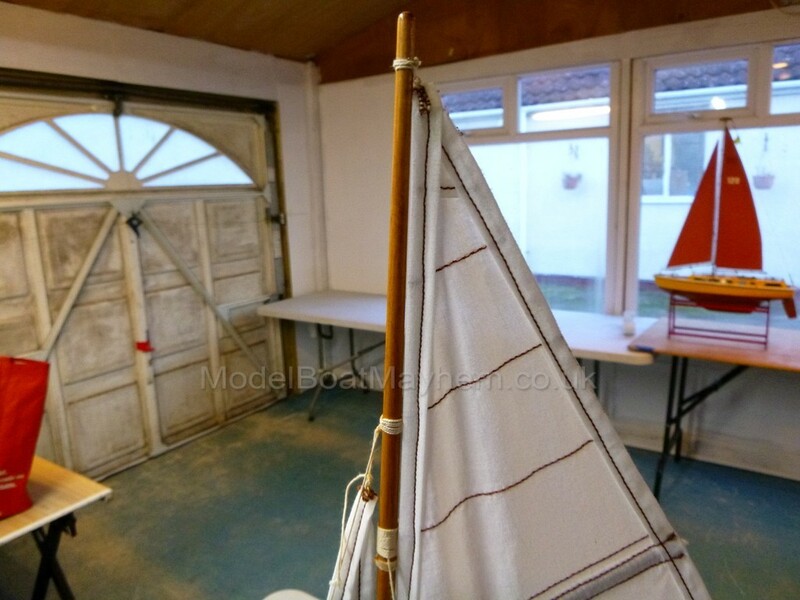 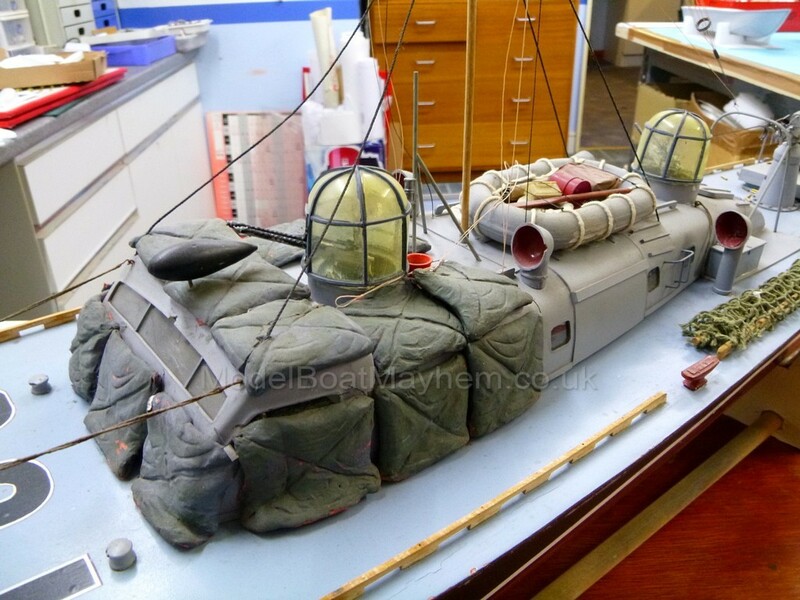 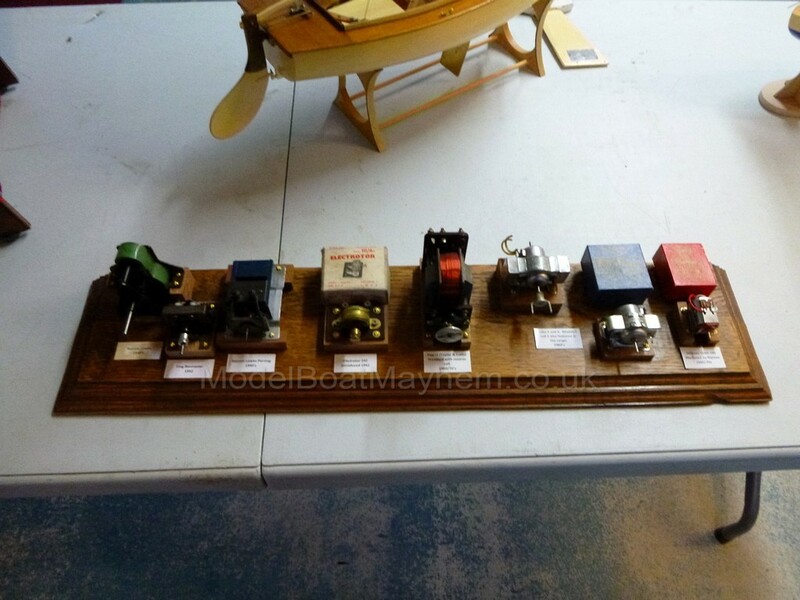 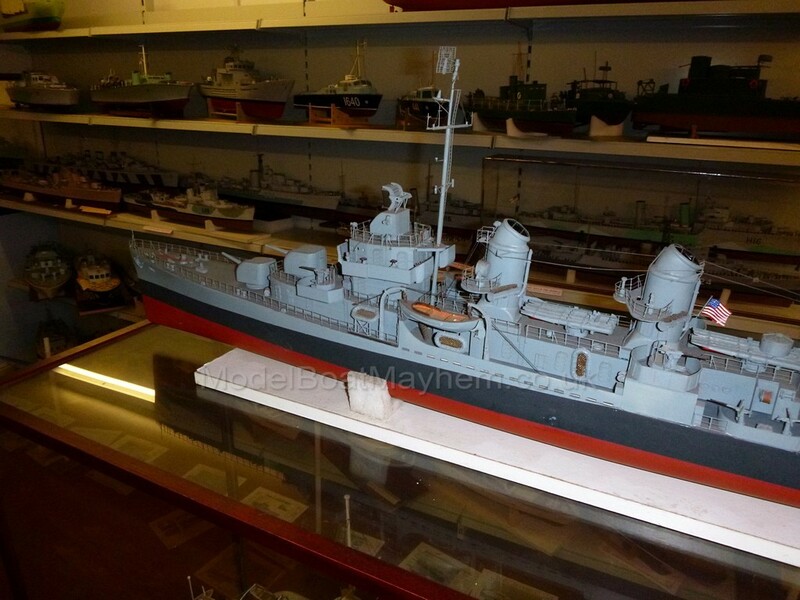 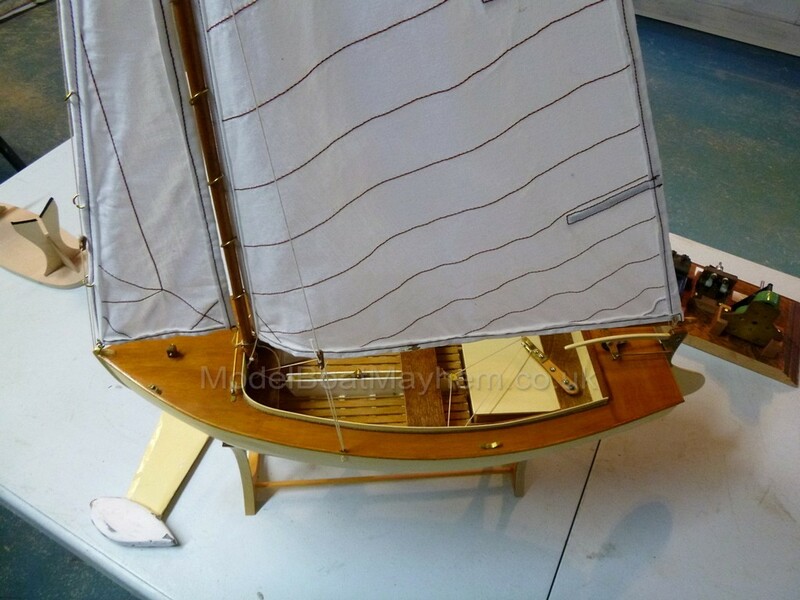 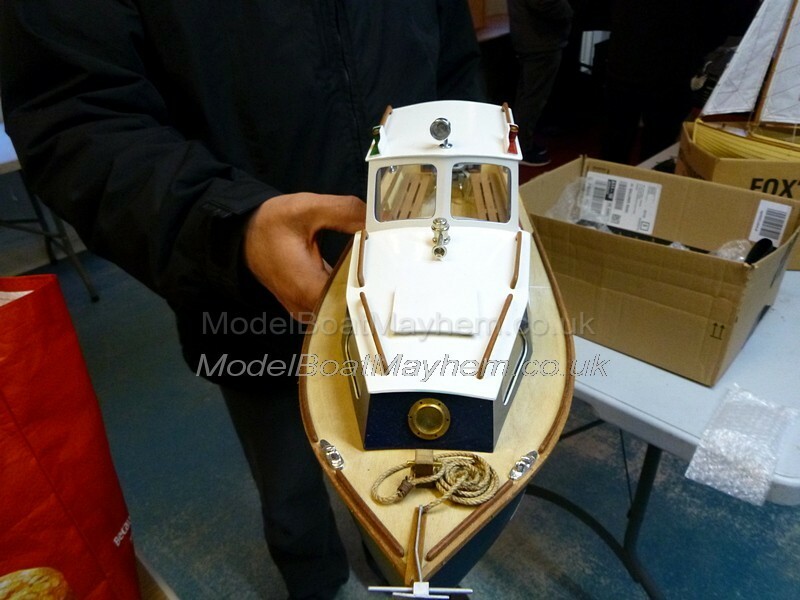 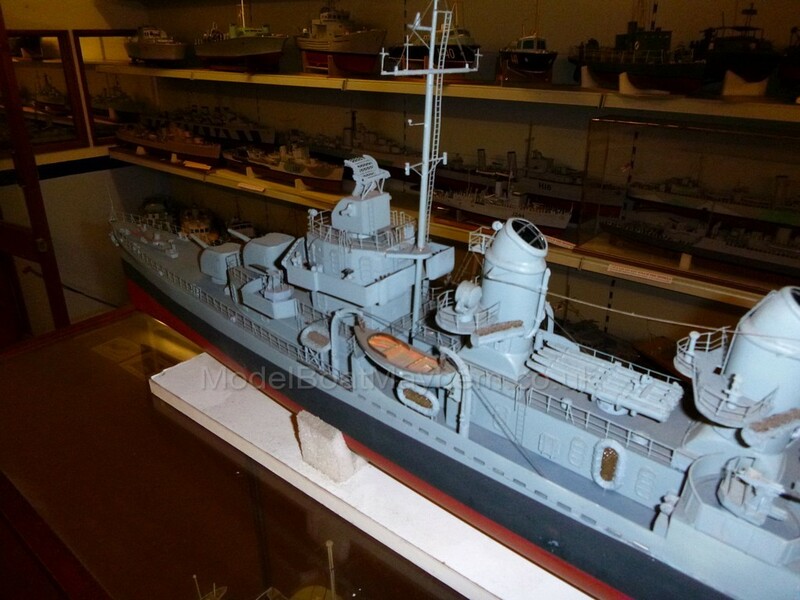 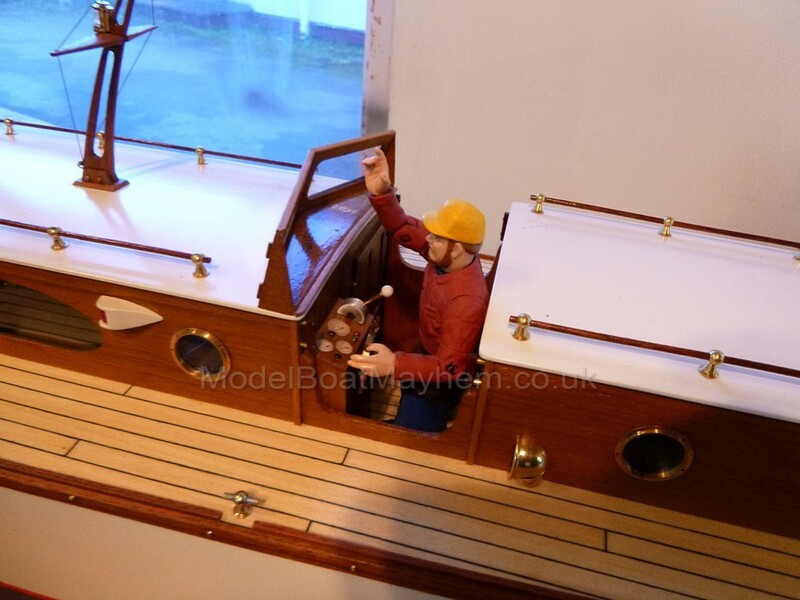 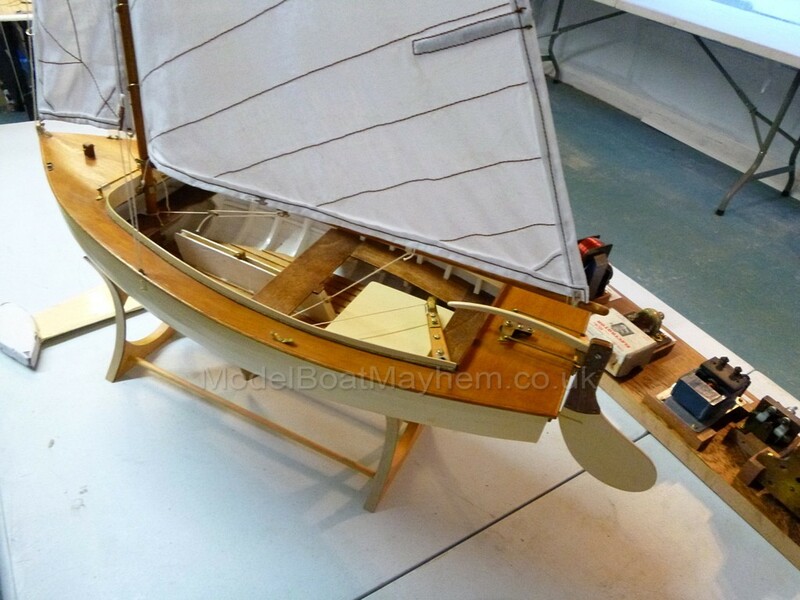 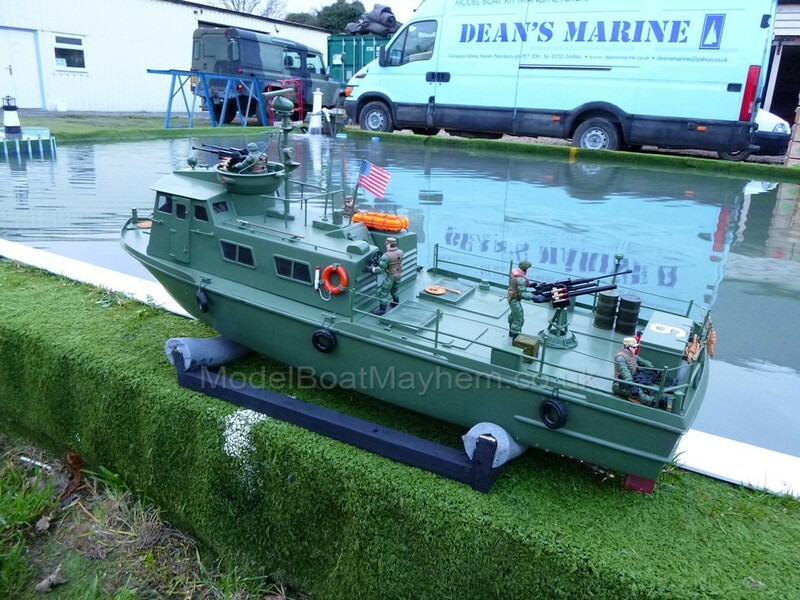 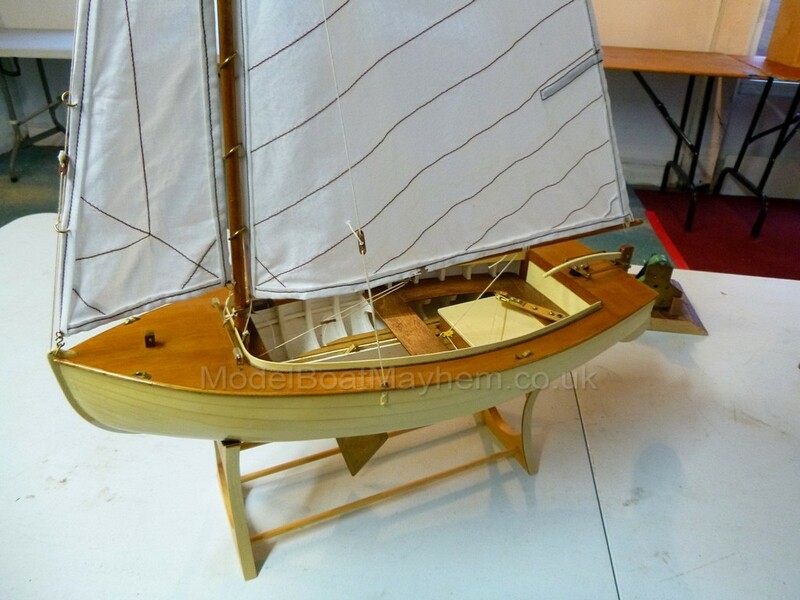 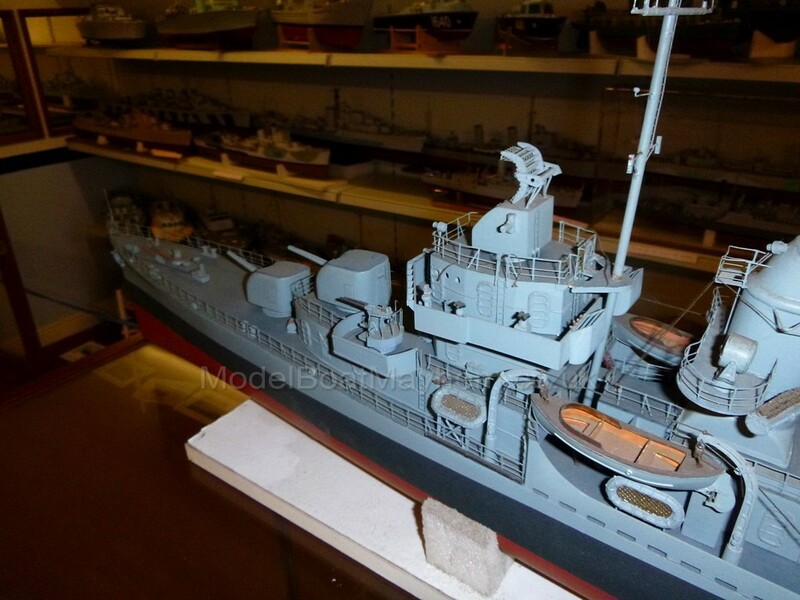 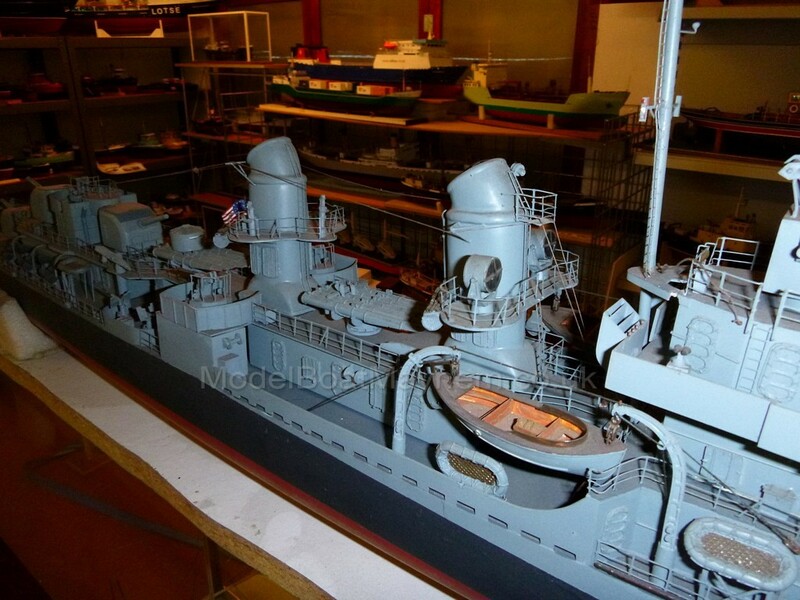 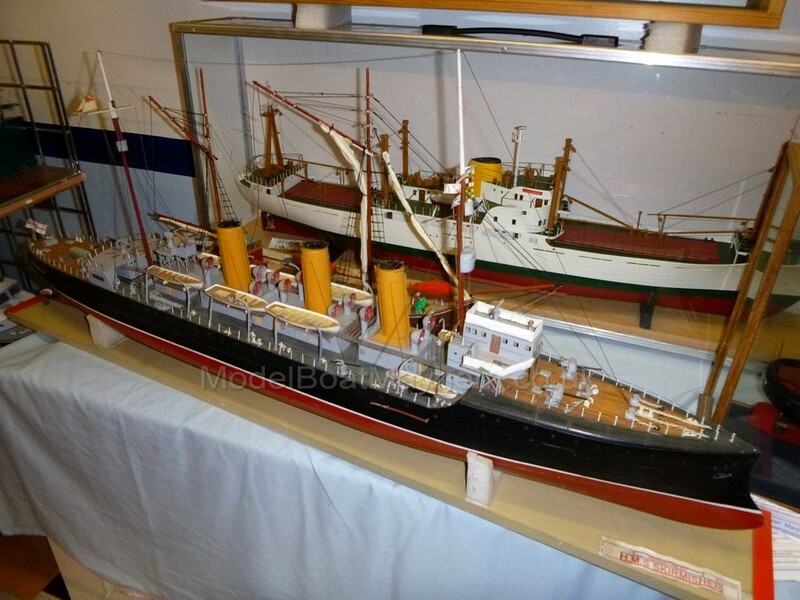 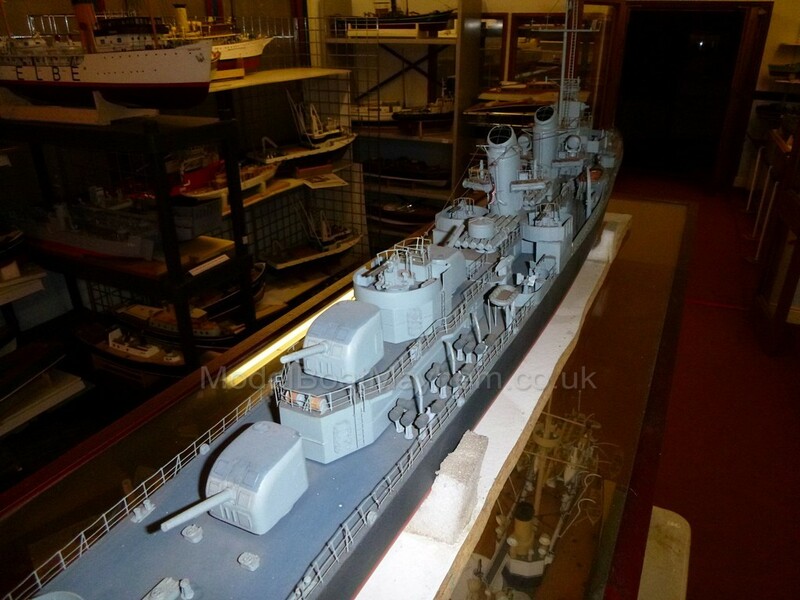 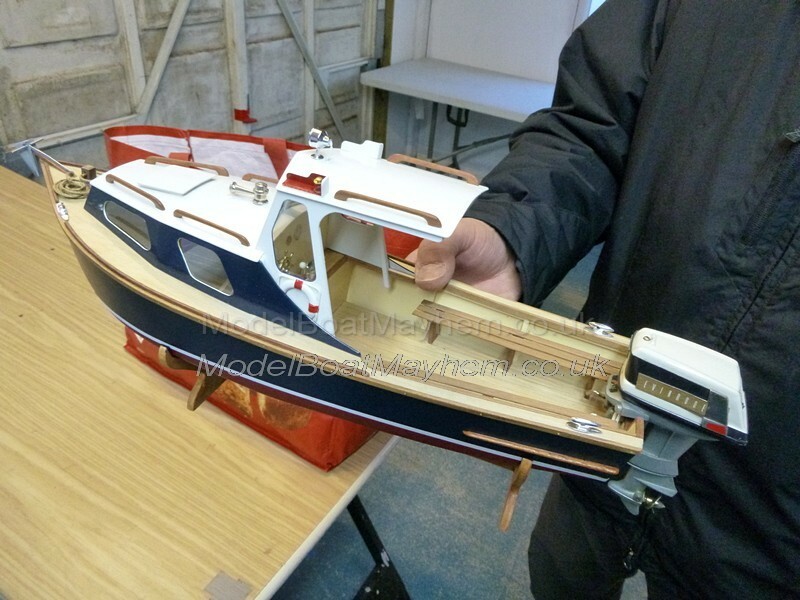 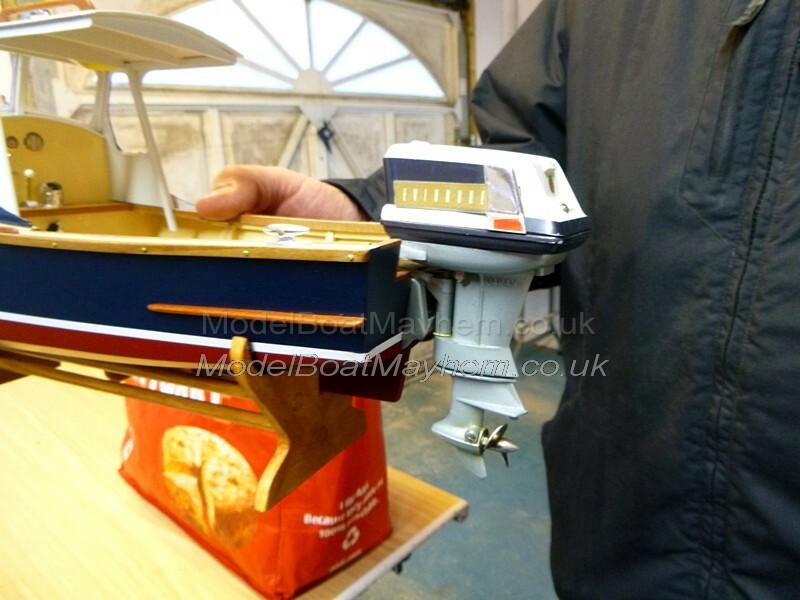 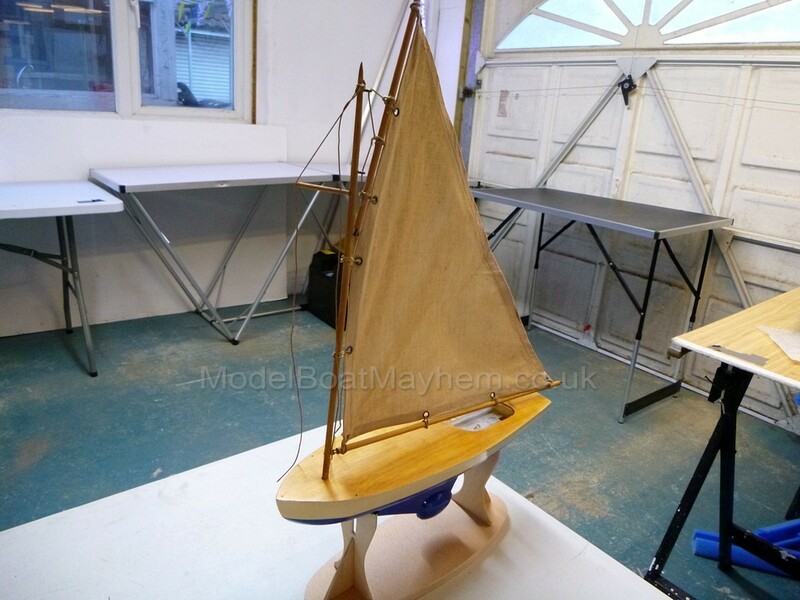 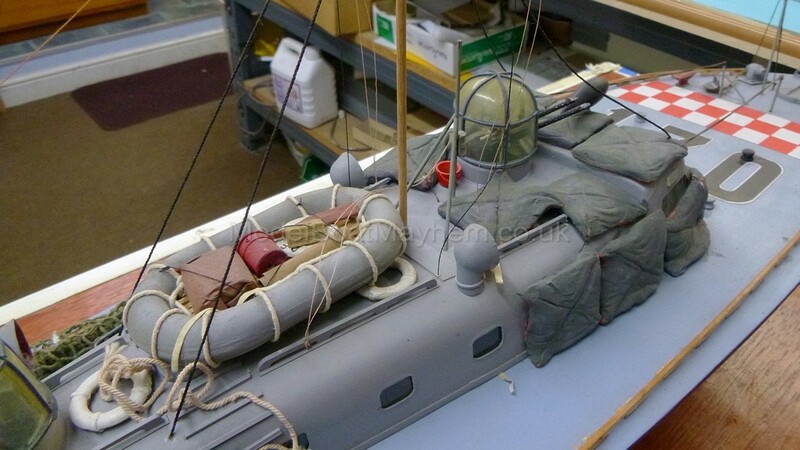 The exhibition room overlooking the pond will be open so if you wish to bring a model along and have a sail, we will be pleased to see you..
You can keep yourself and the model in the warm under cover, pilot from inside if it is really cold, how is that for being spoilt. ? 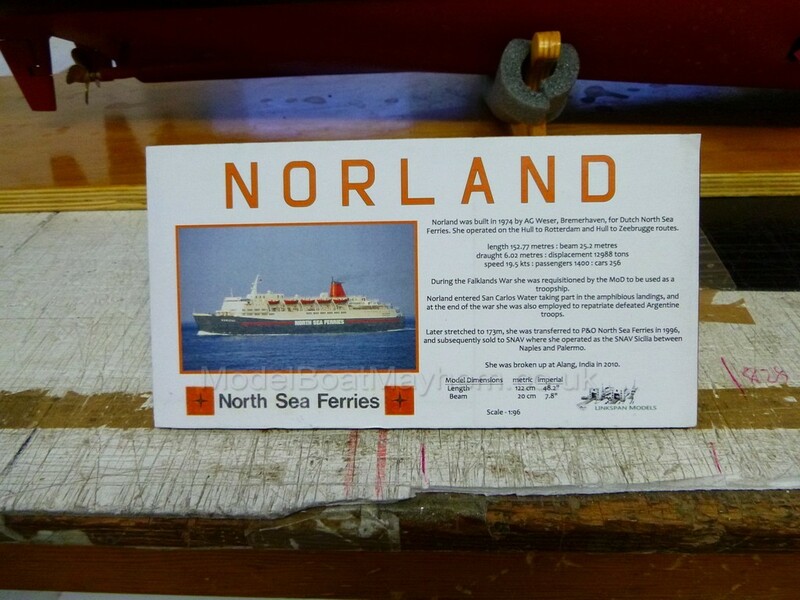 Bring you own mince pies, funny hats and Christmas pullovers, recommended. 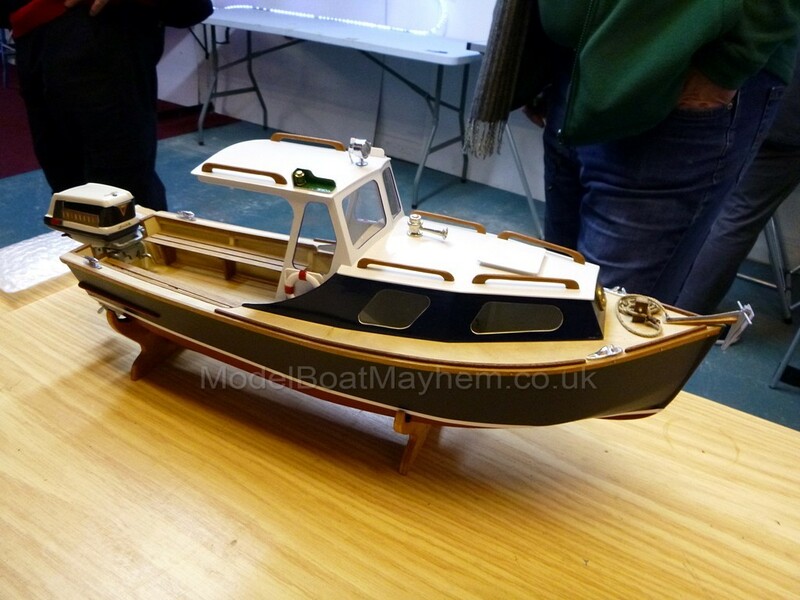 We will have all the new release from 2017 on display, plus some prototypes of new model for 2018. 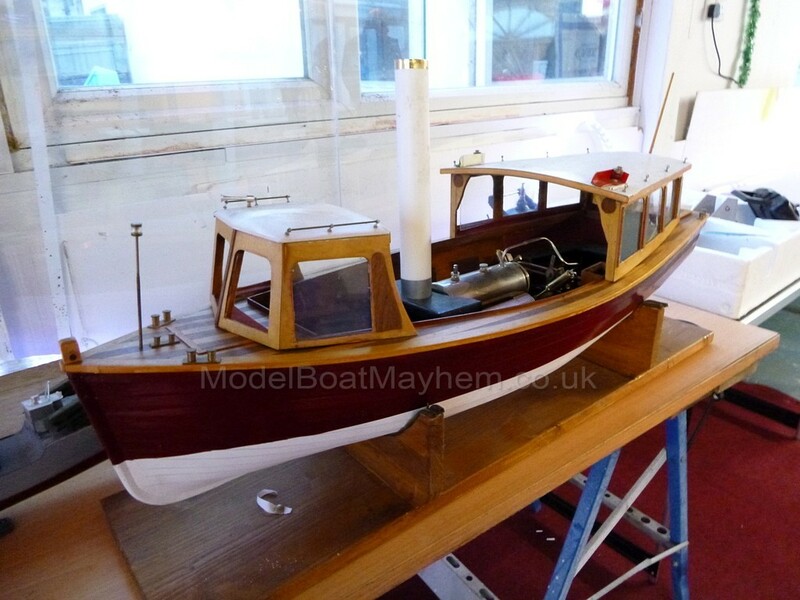 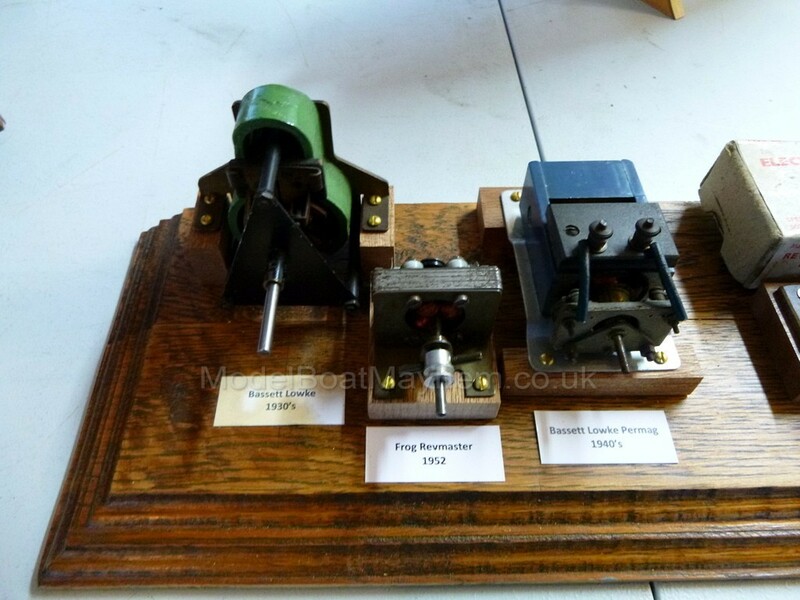 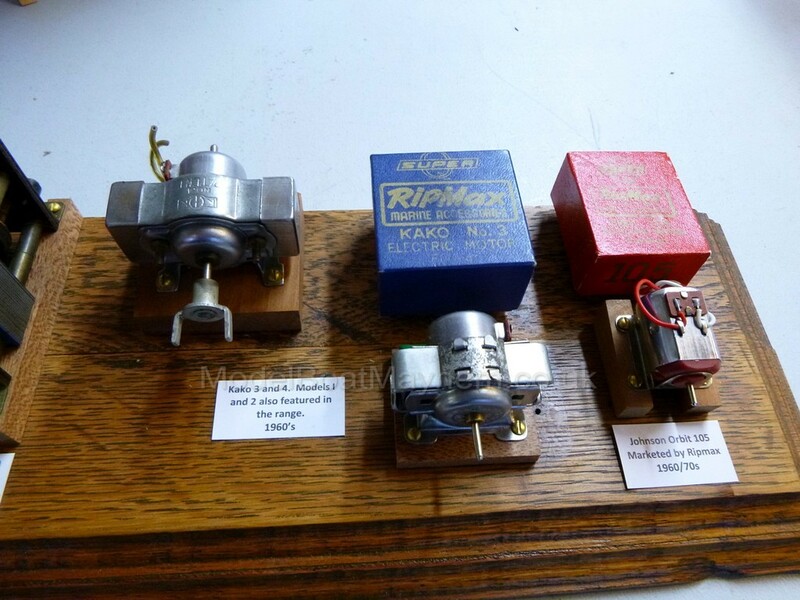 The main showroom will be open if you wish to have a good look around at the rest of our display models. 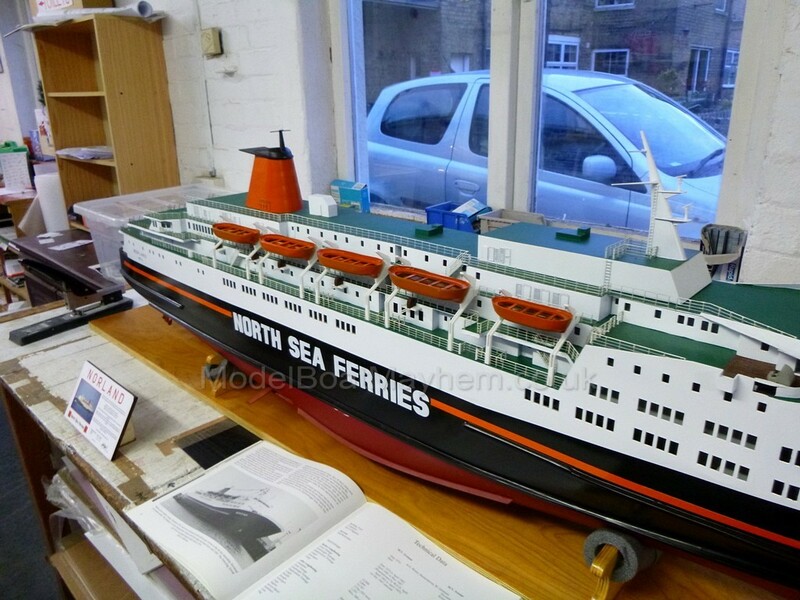 And a very merry Christmas to all our customers. 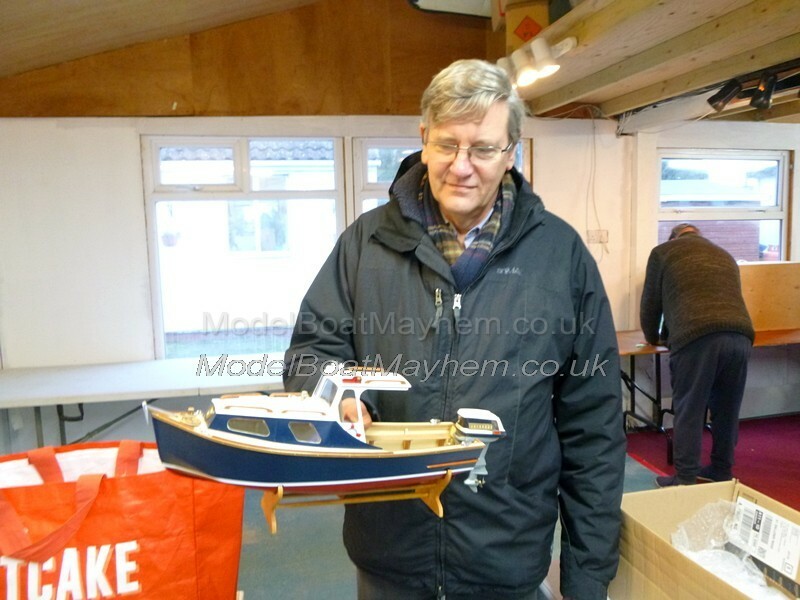 I will be there on the Saturday too. 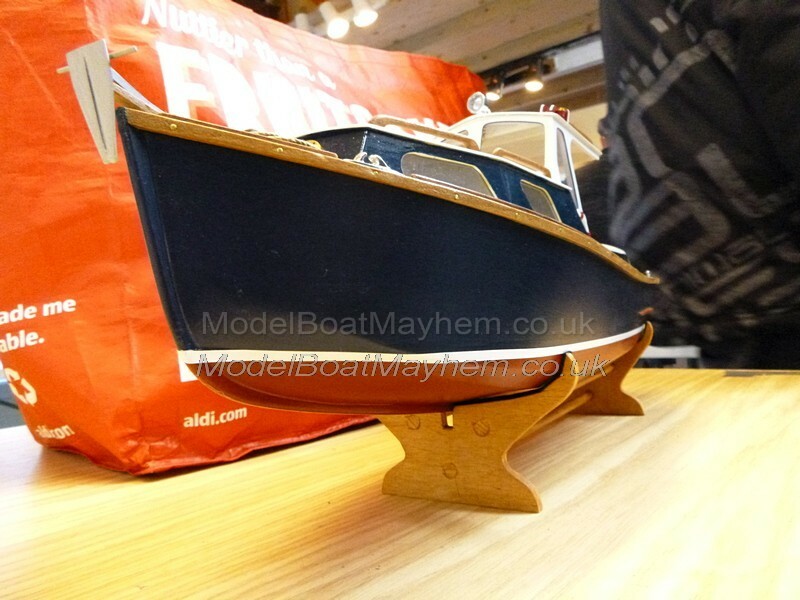 Always a good enjoyable event. 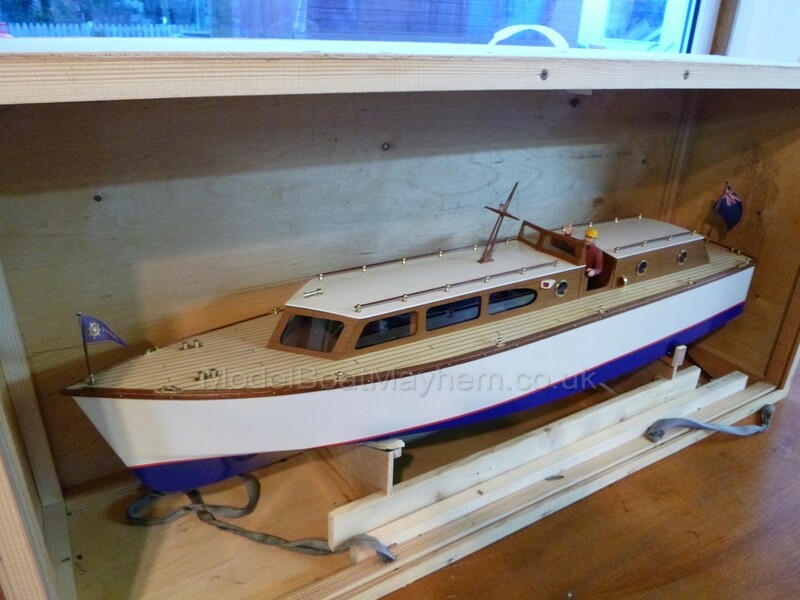 I might even bring the back half of my build, just for fun. 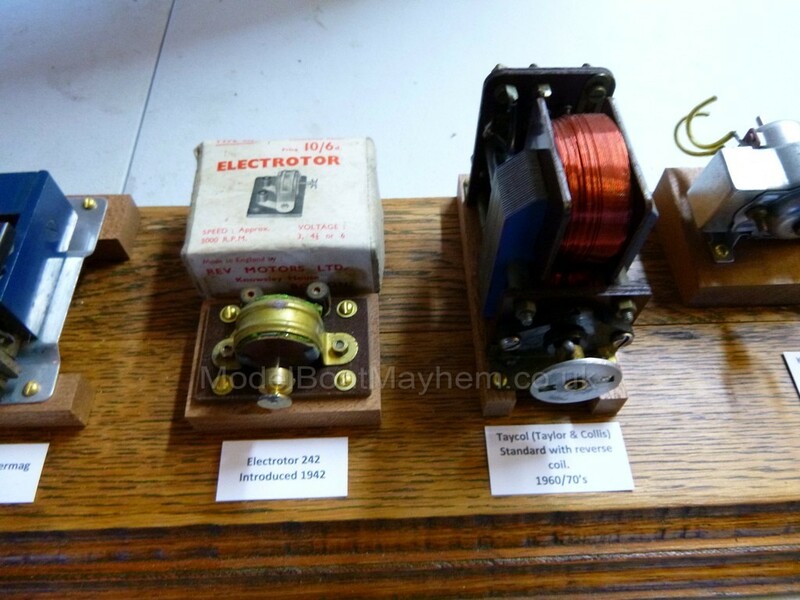 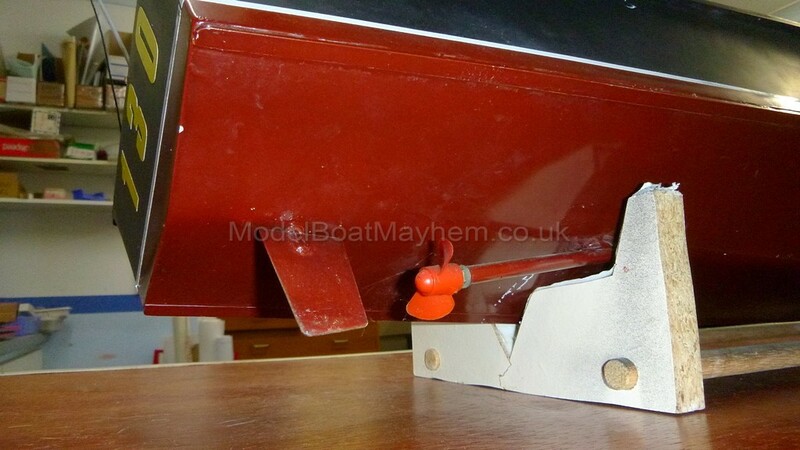 Finally the Forum image upload is working again! 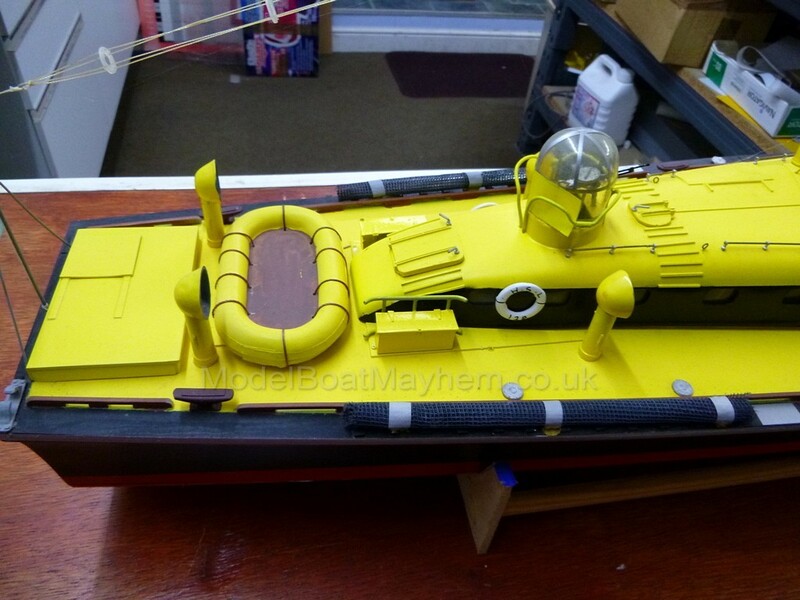 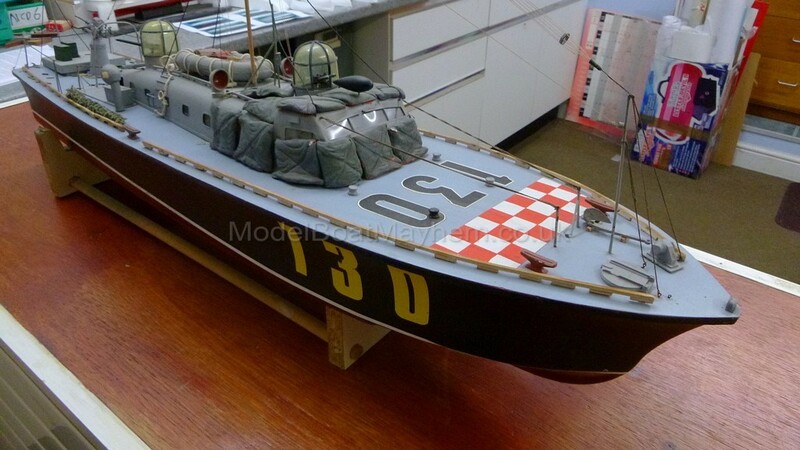 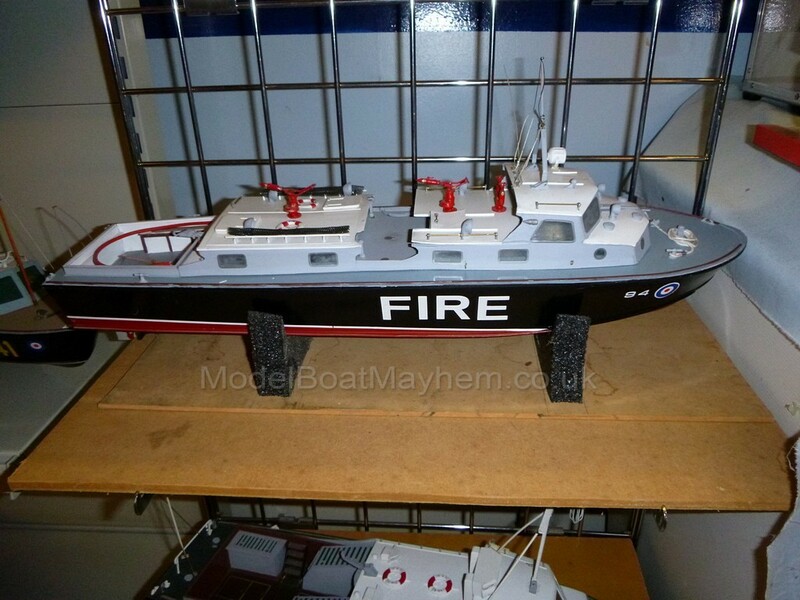 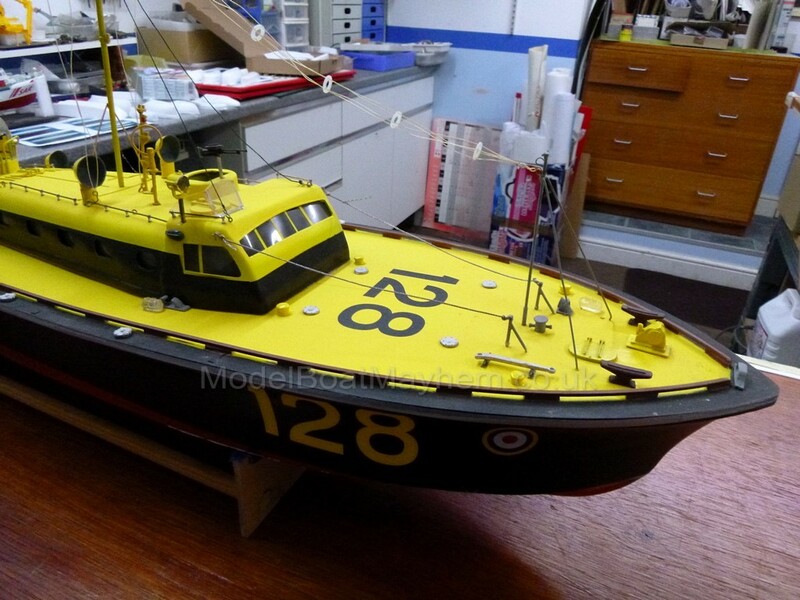 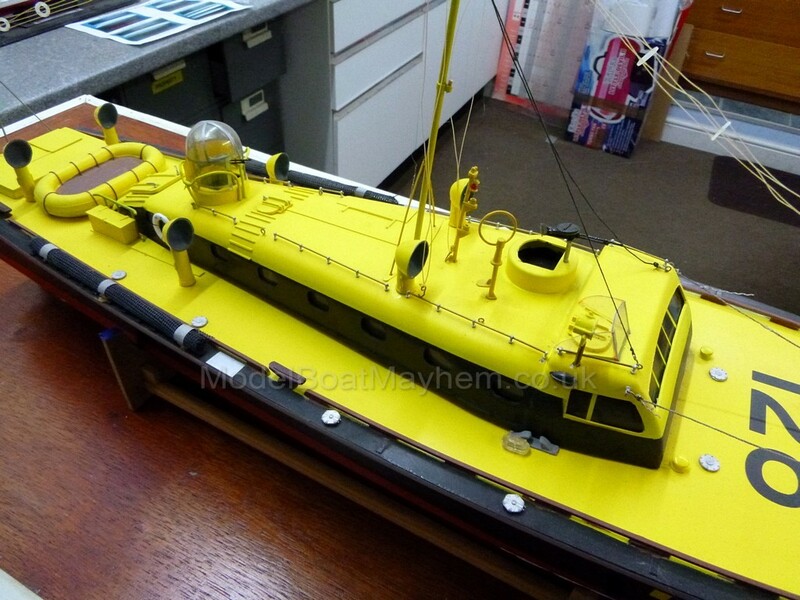 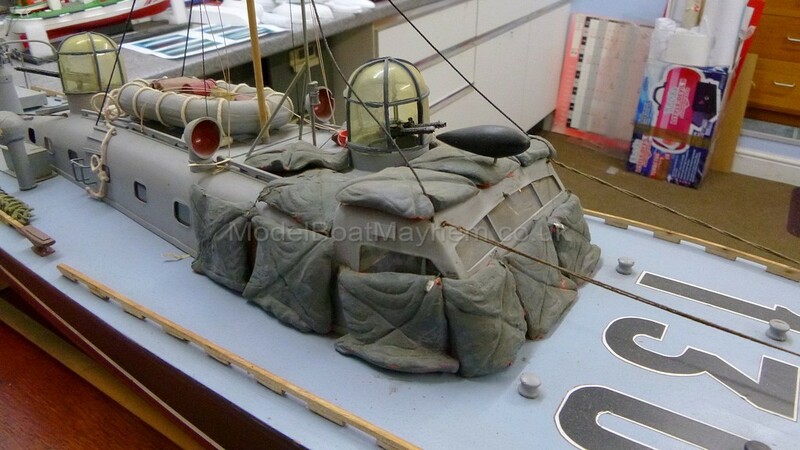 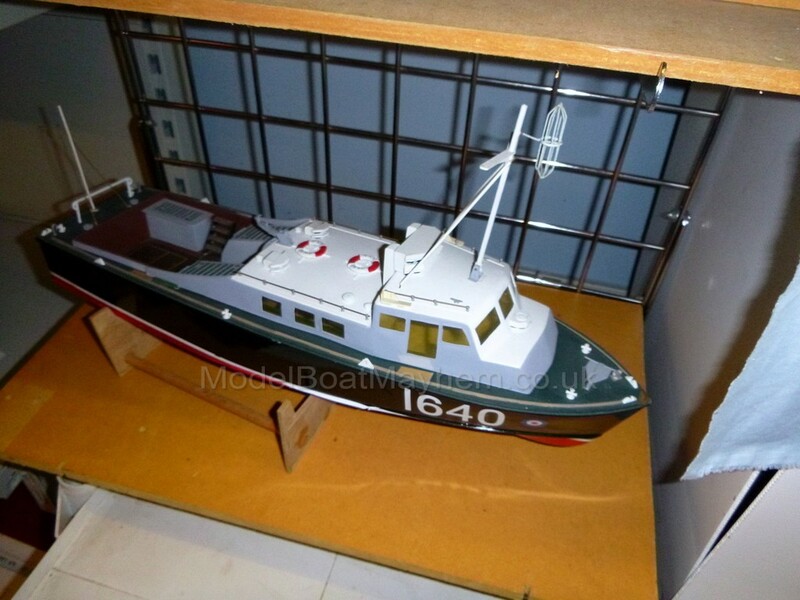 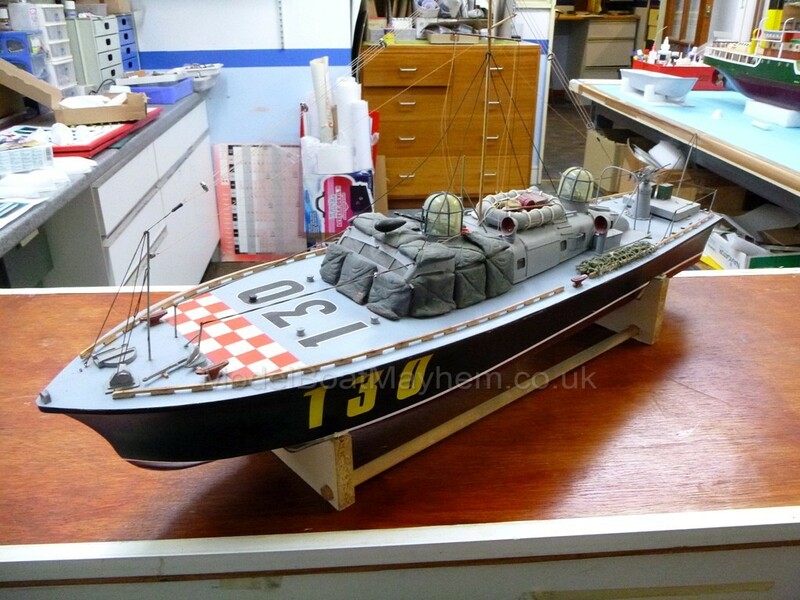 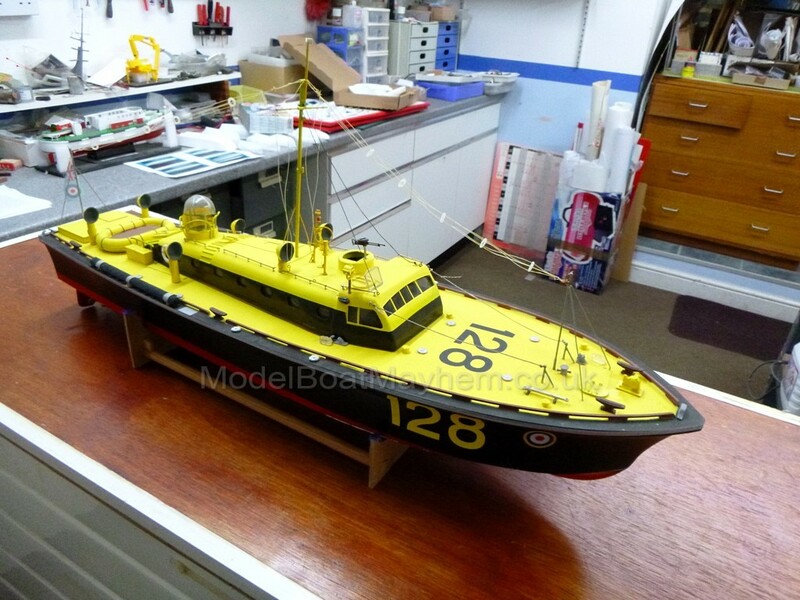 The design of these Air Sea Rescue launches was an adaptation of a Motor Gun Boat being developed by British Power Boats for the Royal Navy, (see the M.G.B. 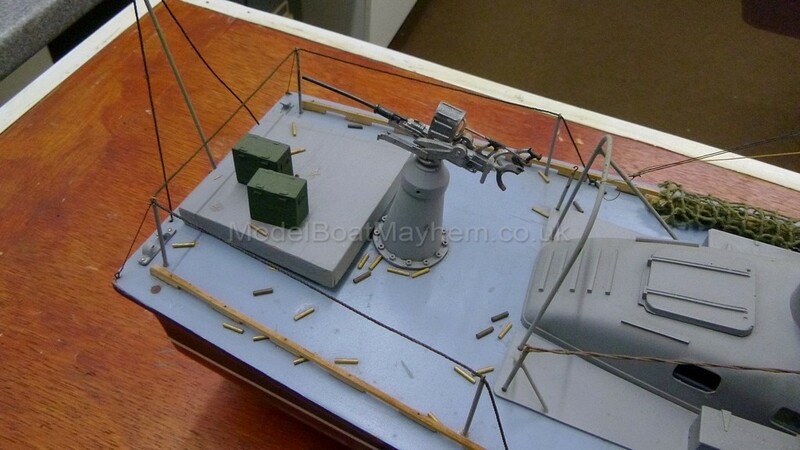 in our range). 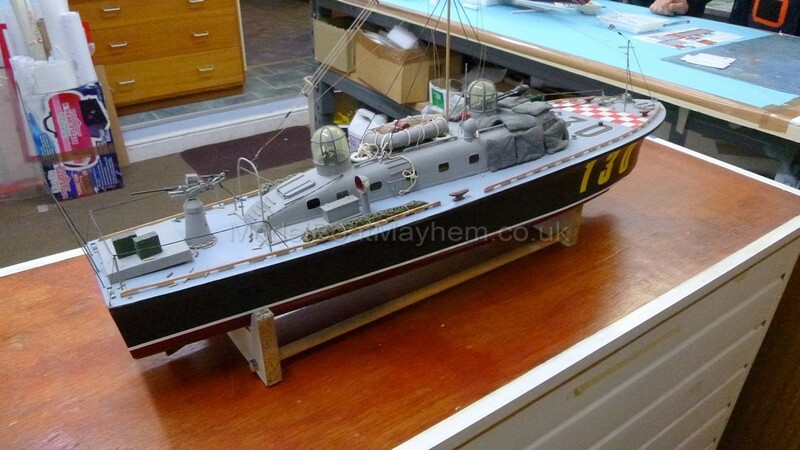 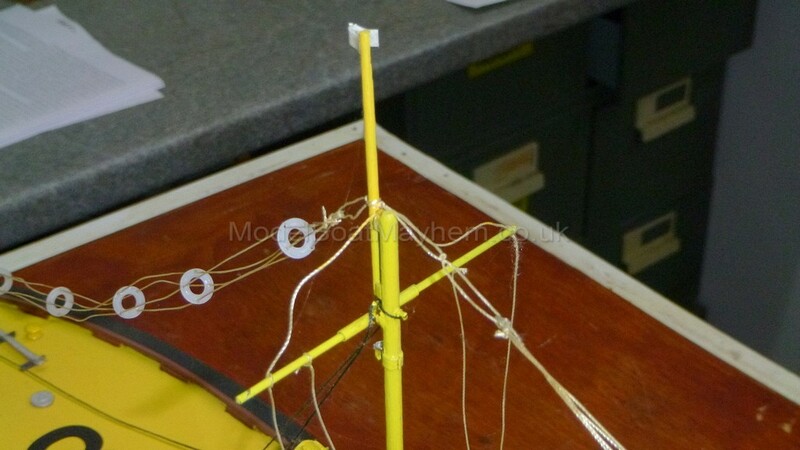 These craft were the first to be fitted with aircraft type turrets from the start. 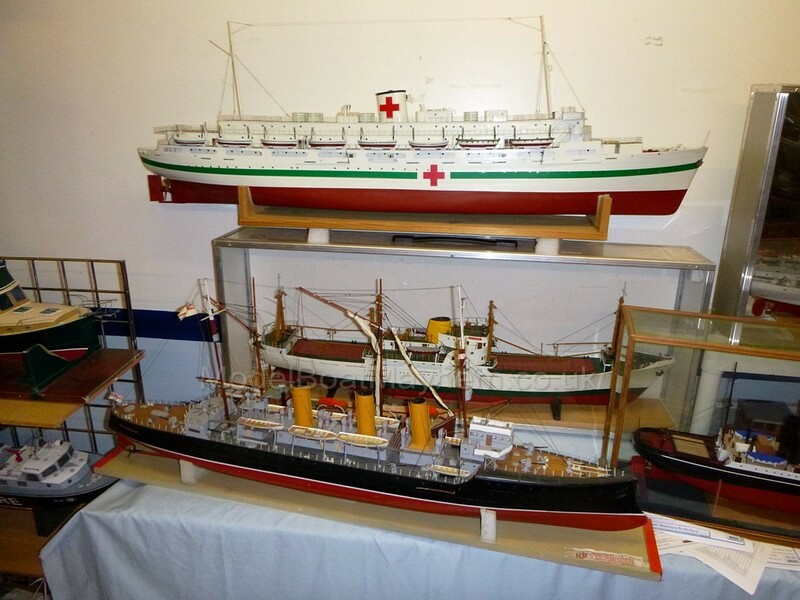 After experience in the Channel these vessels earned a great reputation amongst their crew members. 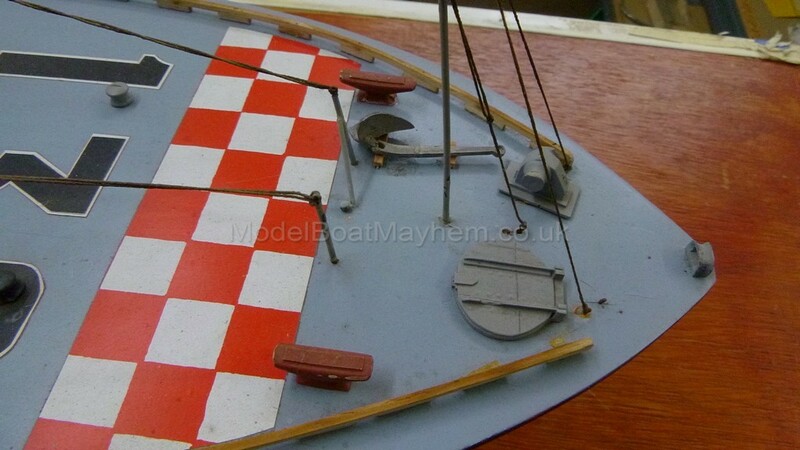 The racy lines of the craft added a touch of glamour when the outline of the type was used for the arm badge worn by the crews. 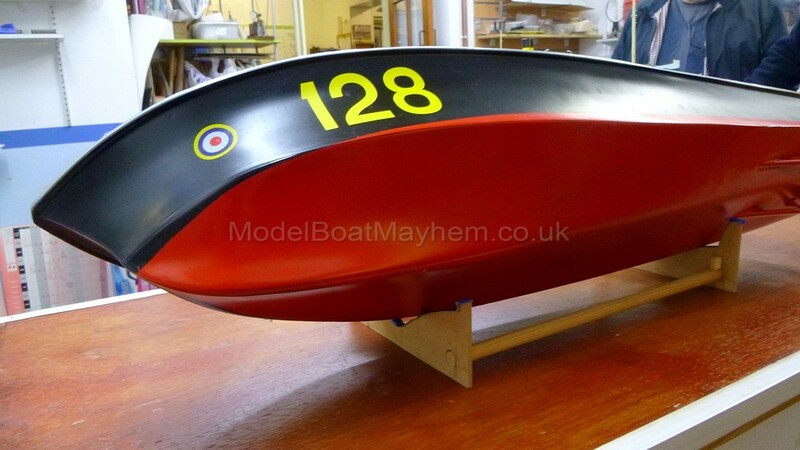 The 2 models in this range of craft are based on a lightweight glass fibre hull capturing the racy lines of the prototype. 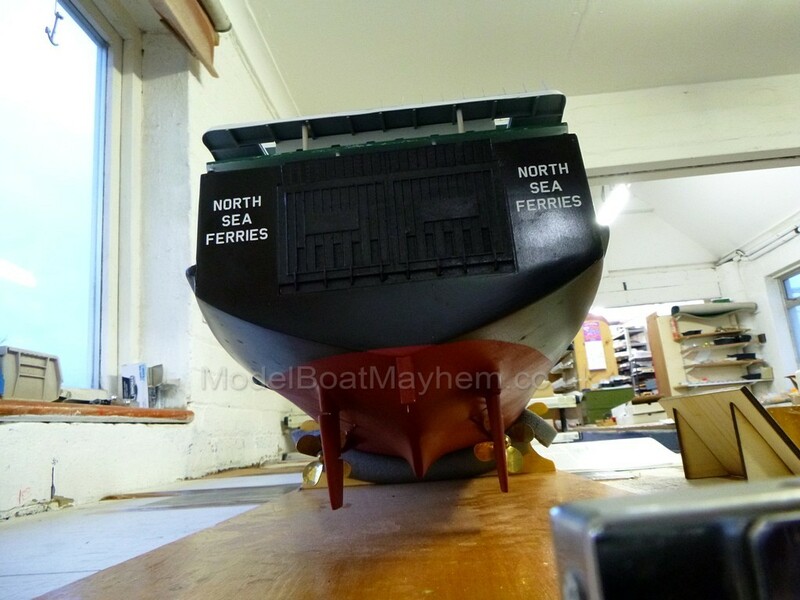 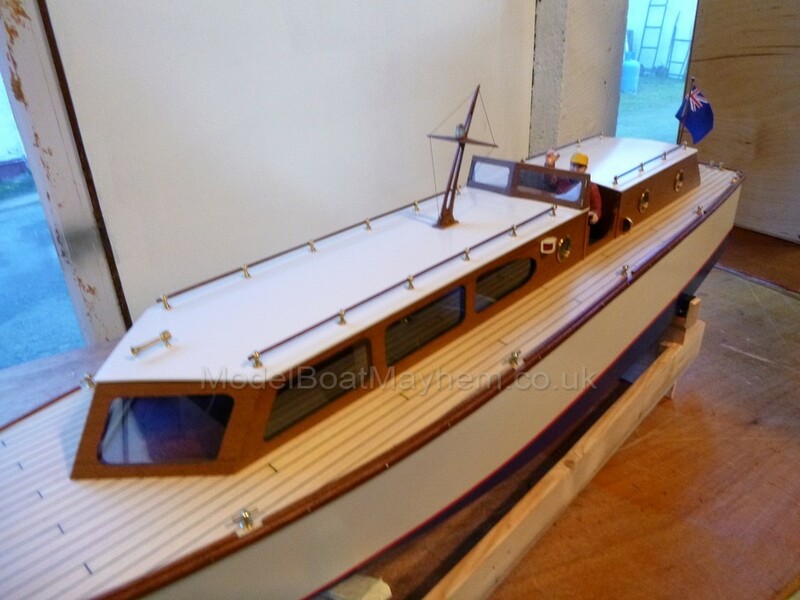 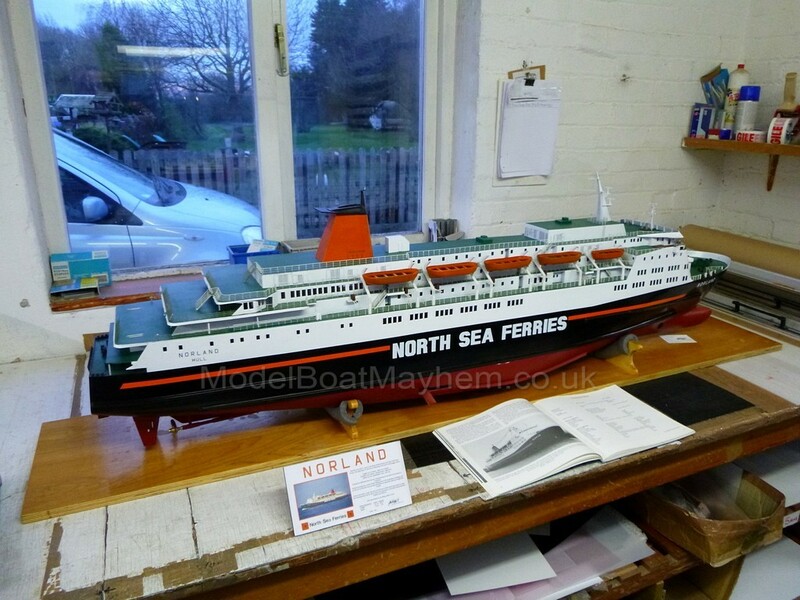 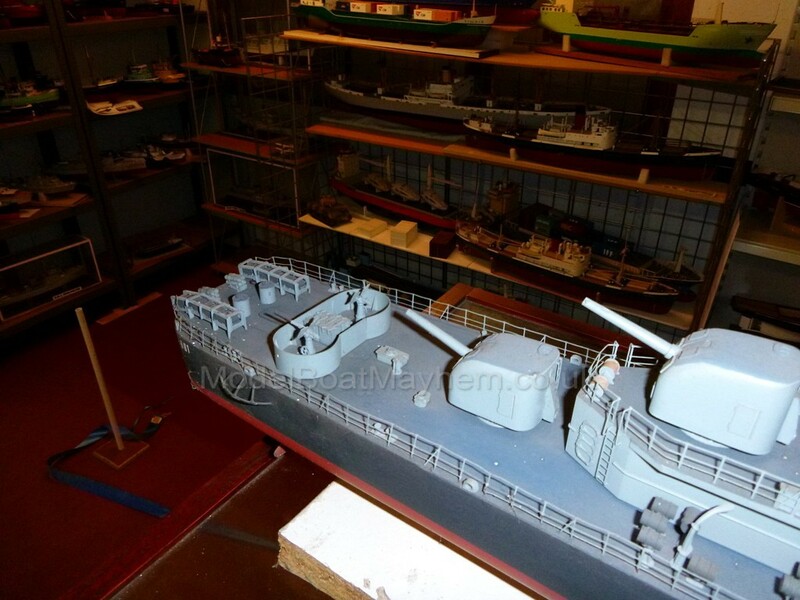 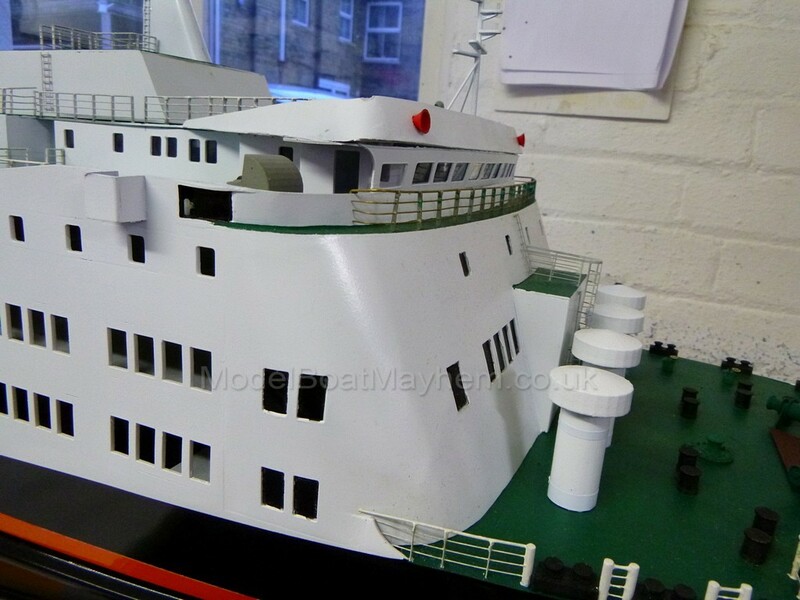 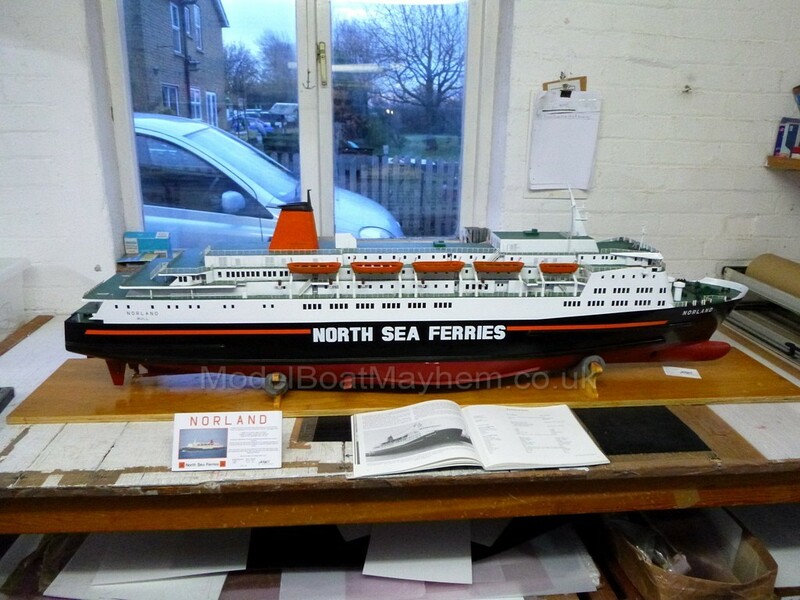 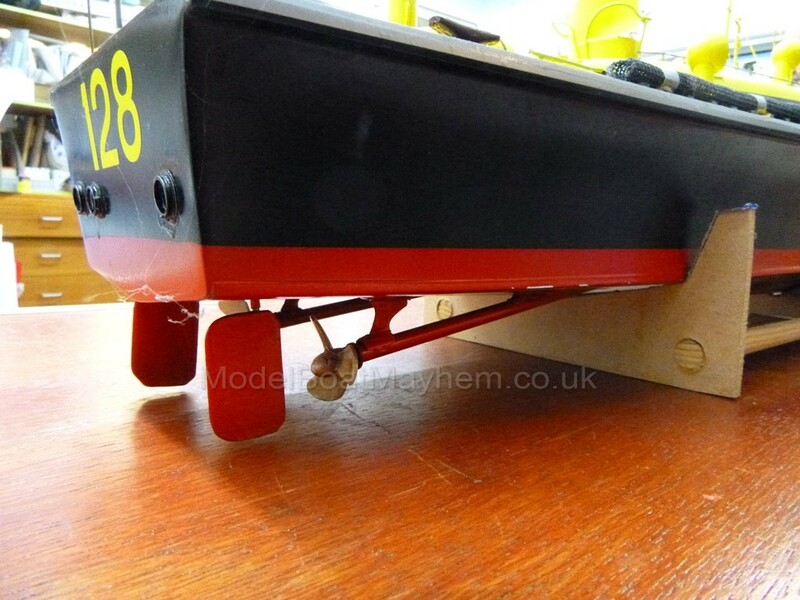 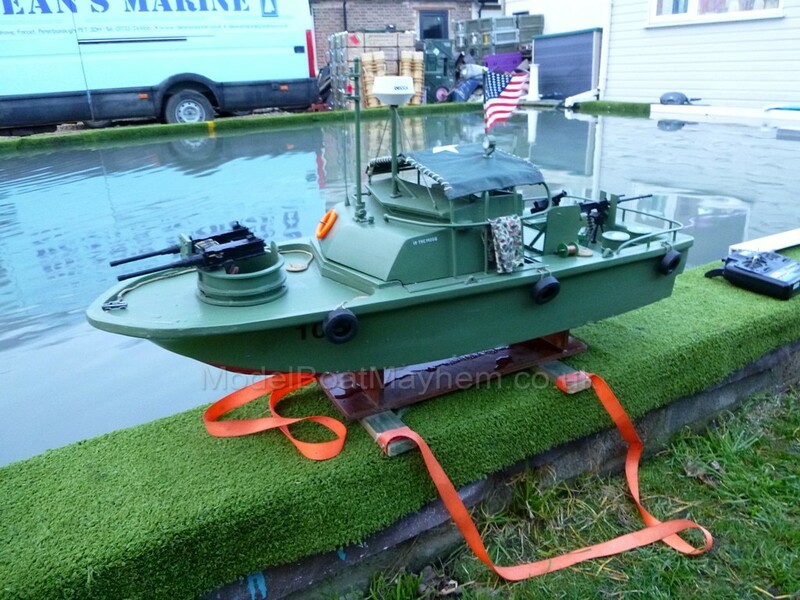 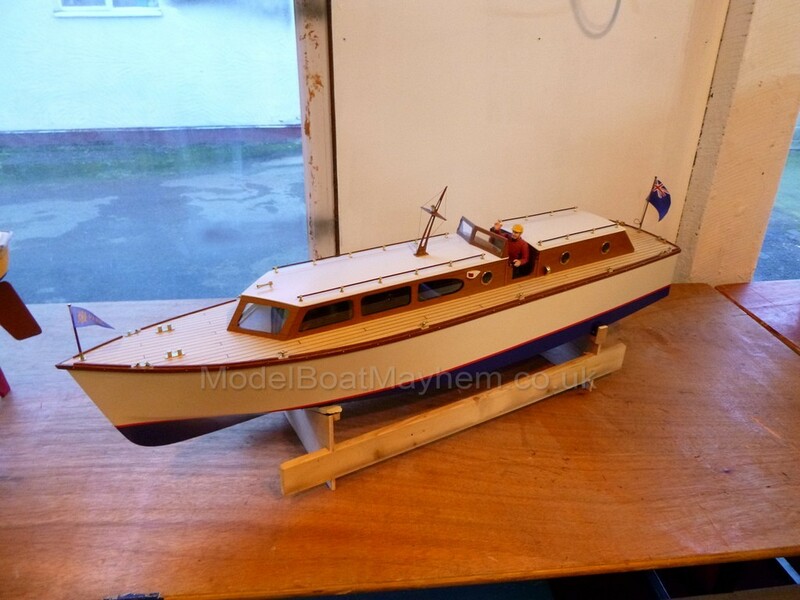 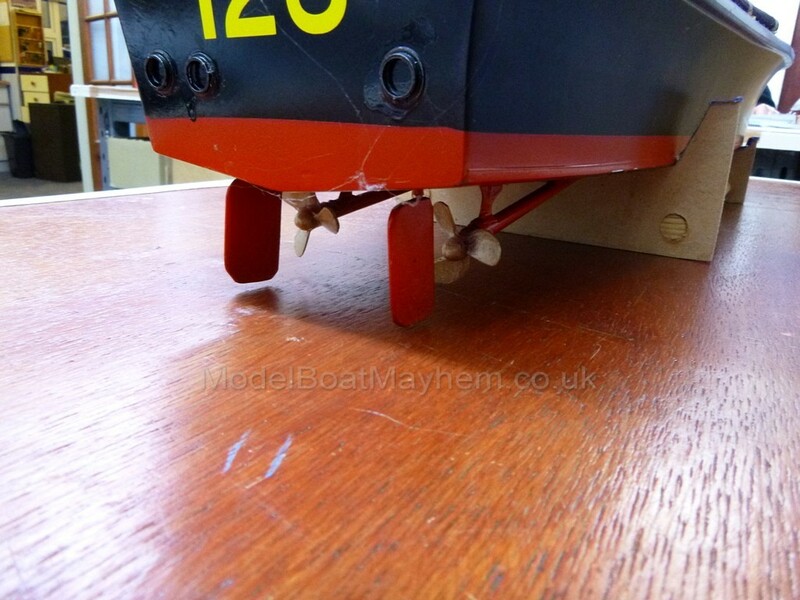 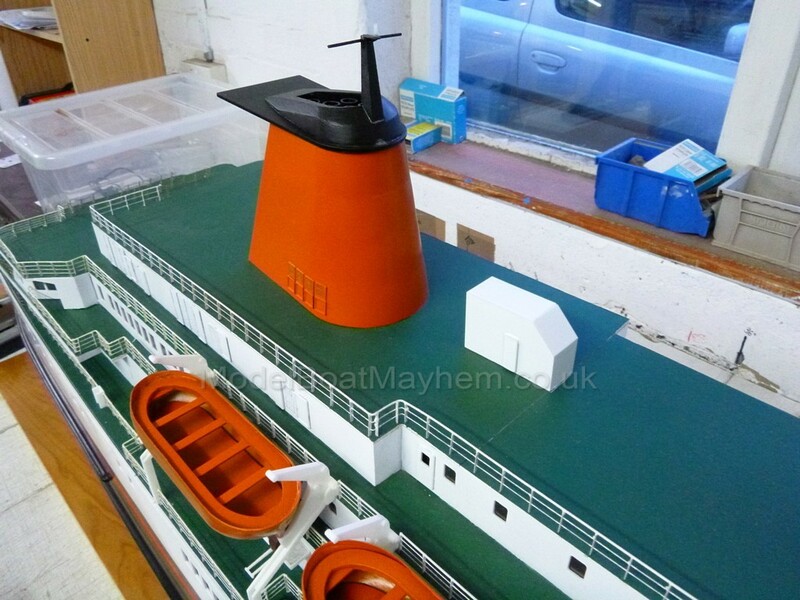 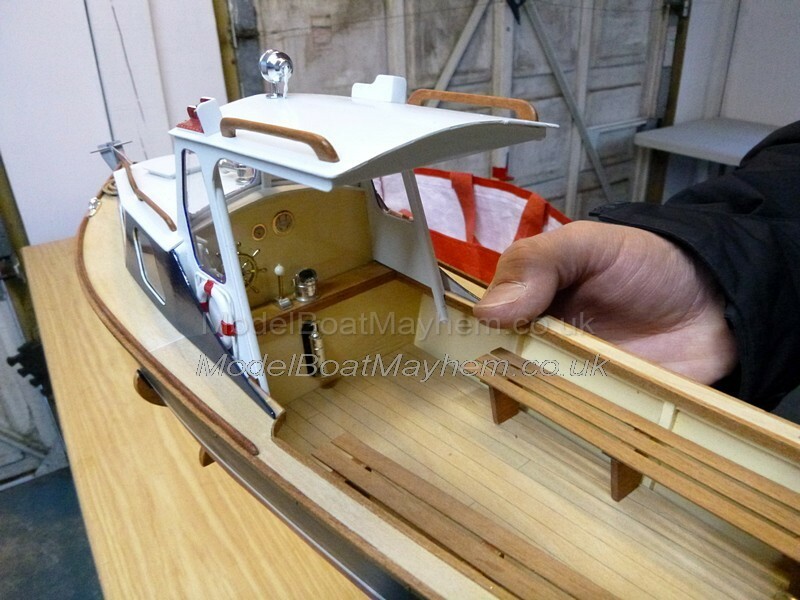 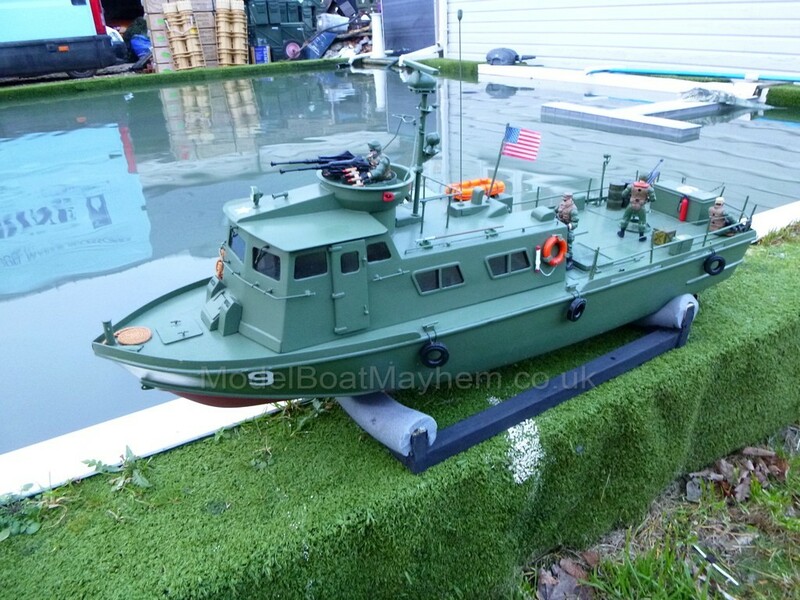 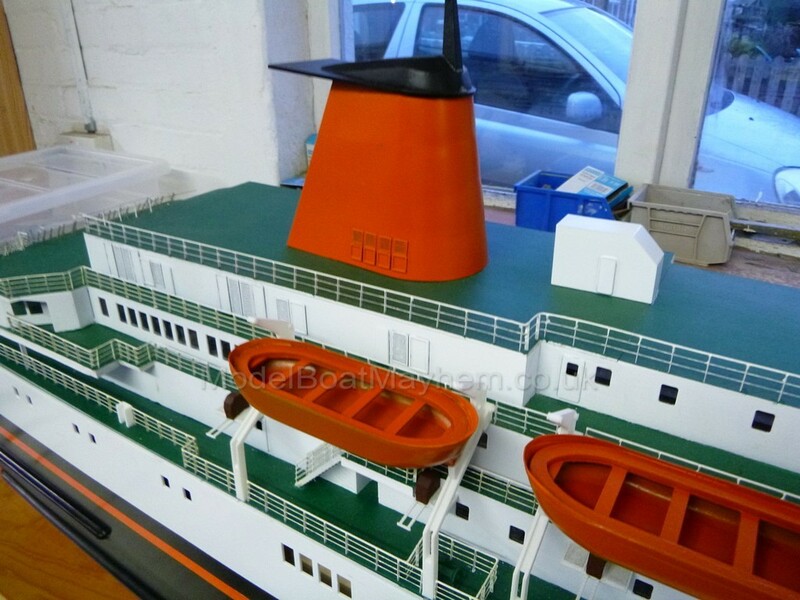 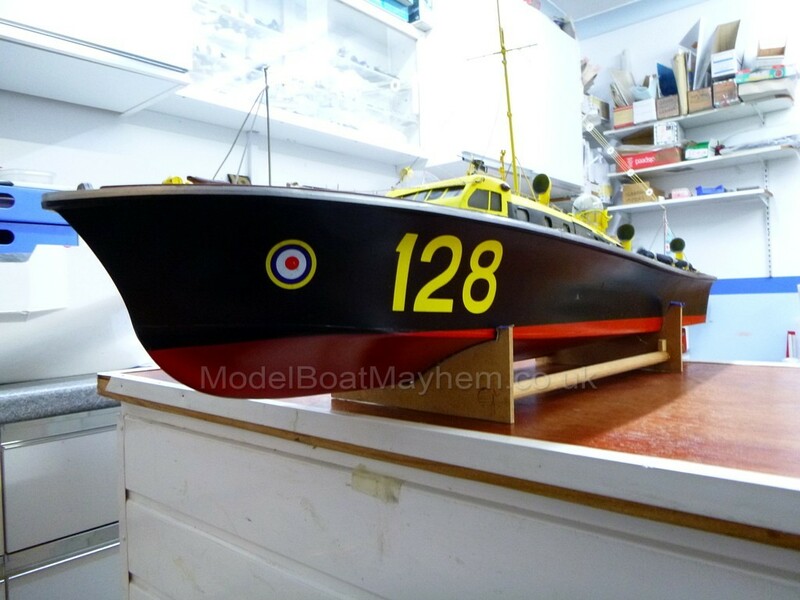 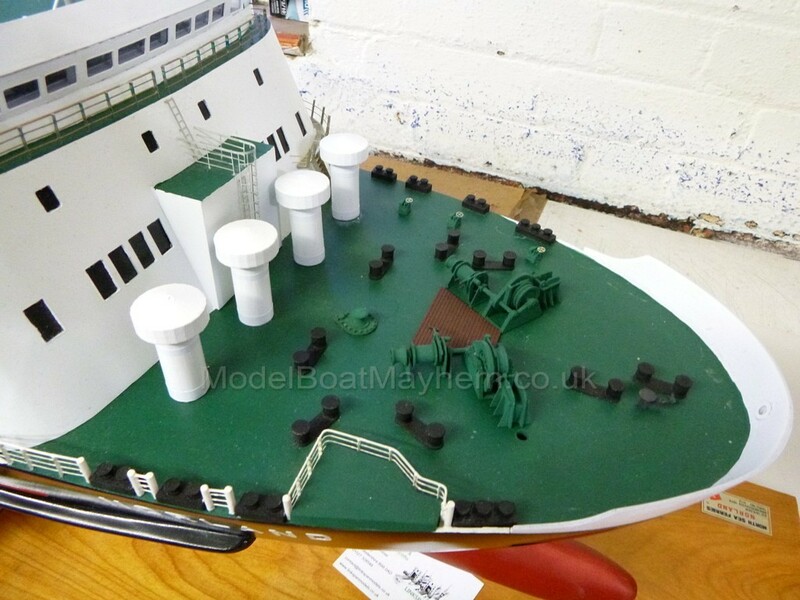 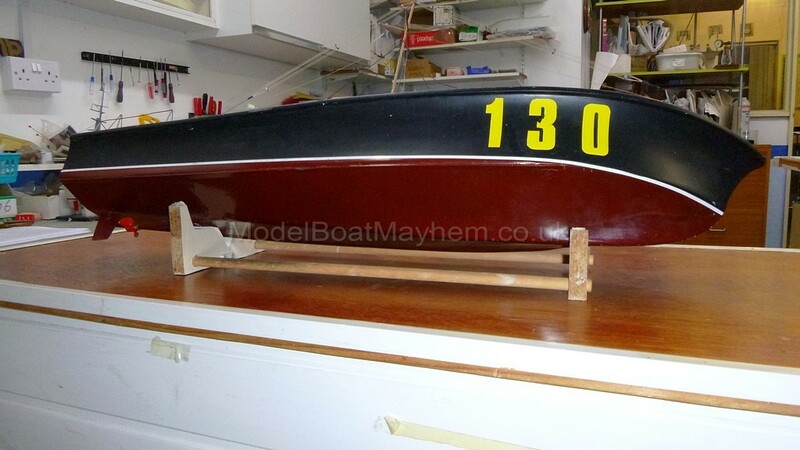 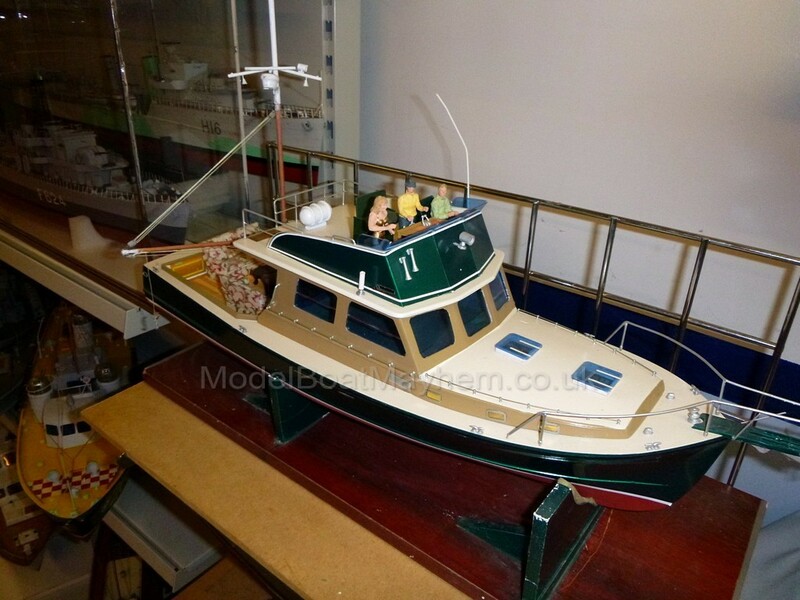 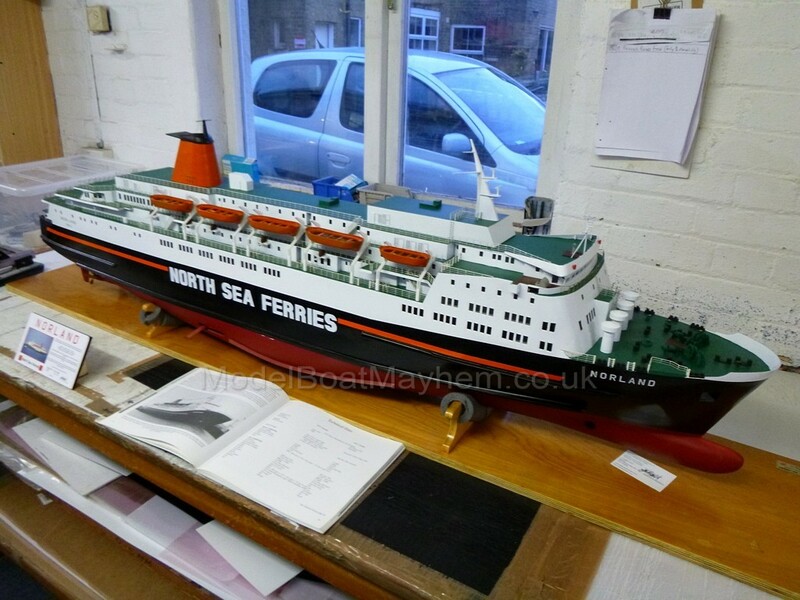 The deck is of 1/8" resin bonded marine plywood fitted to the top of the rubbing strip which is moulded into the hull for easy construction. 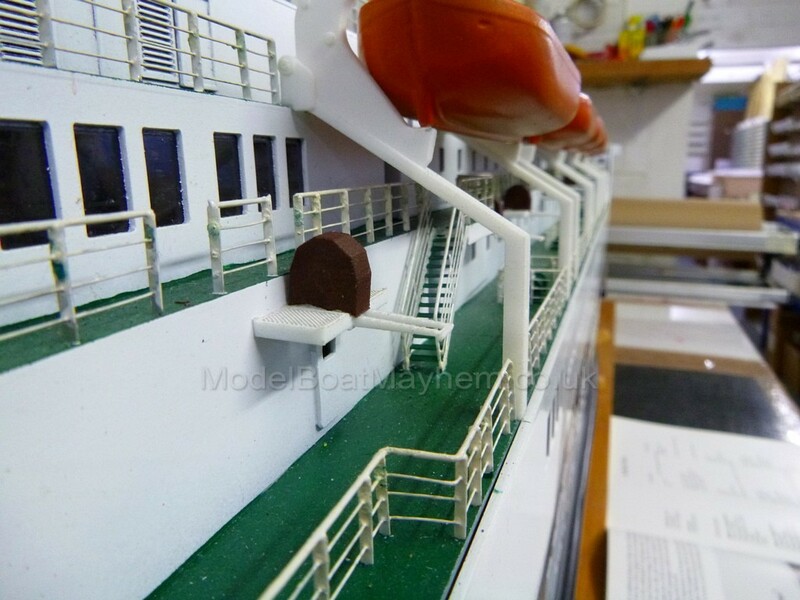 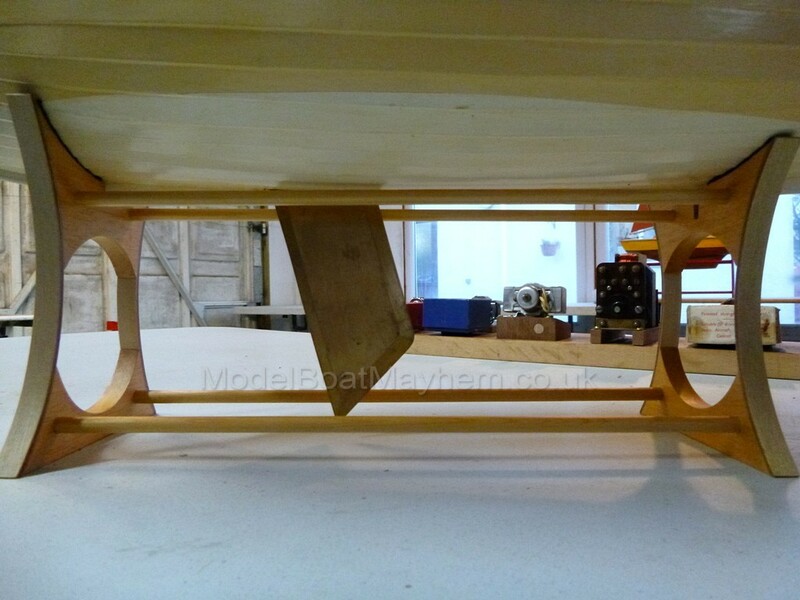 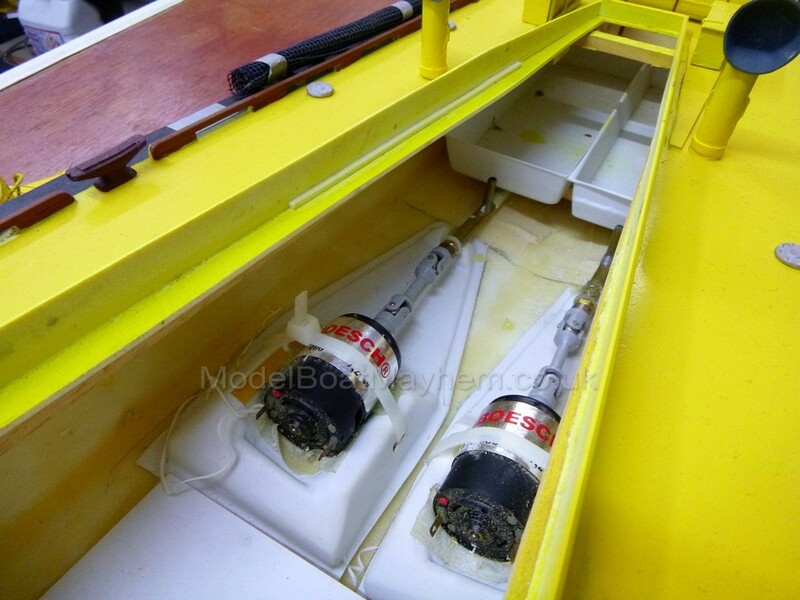 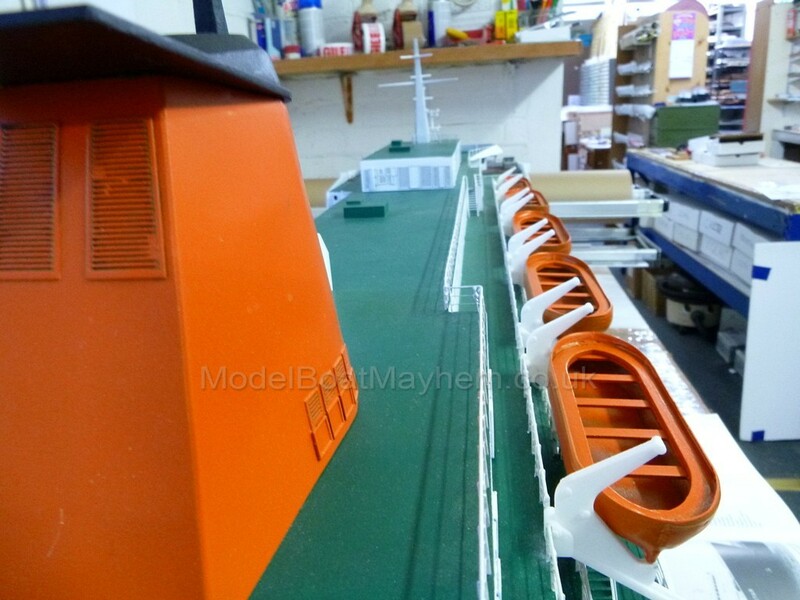 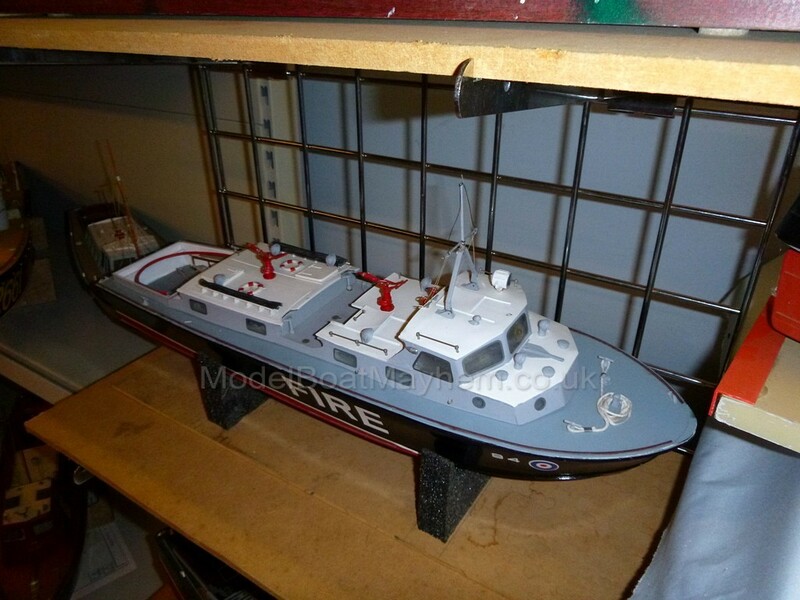 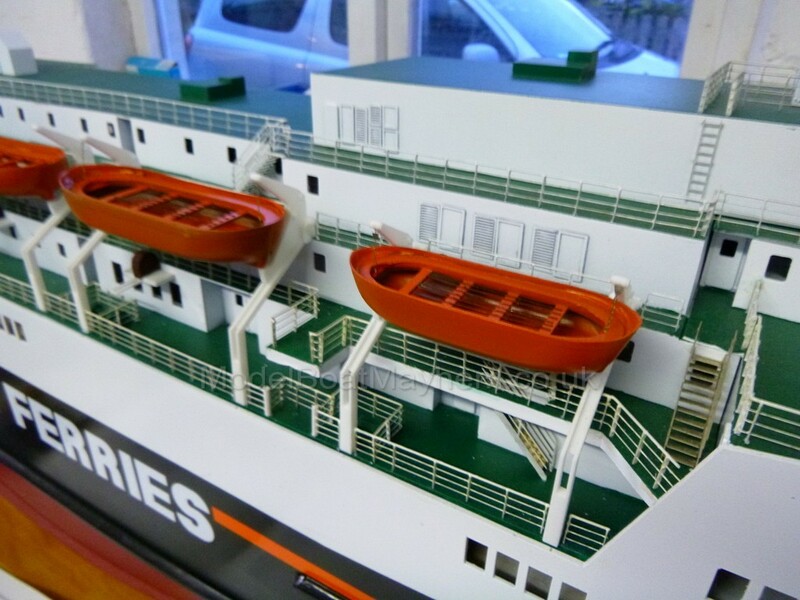 The complete superstructure moulding, along with the carly float, battery box, are all in vacformed plastic to speed construction. 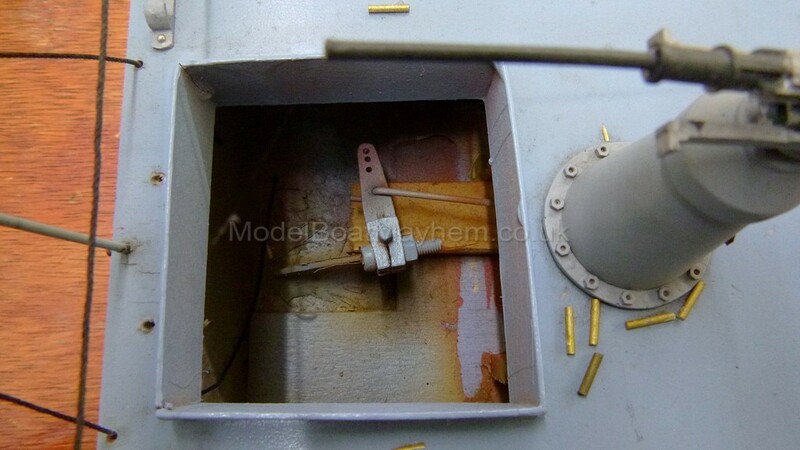 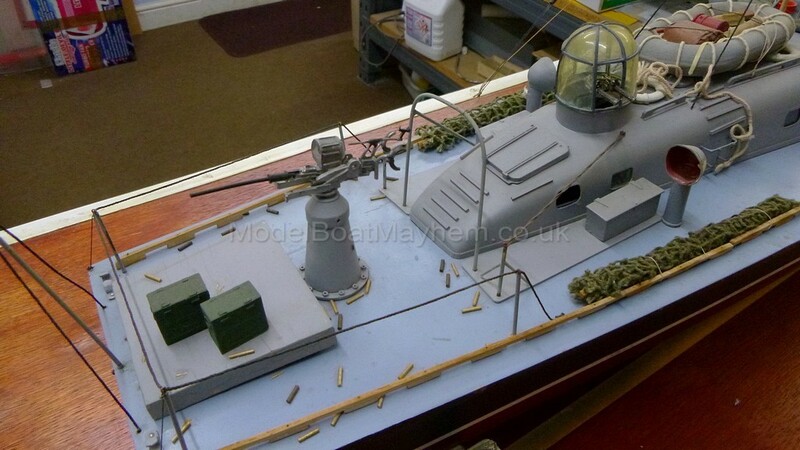 The gun turrets are formed in clear acrylic along with a full set of weapons and fittings to complement the FULL SIZE PLAN and instructions. 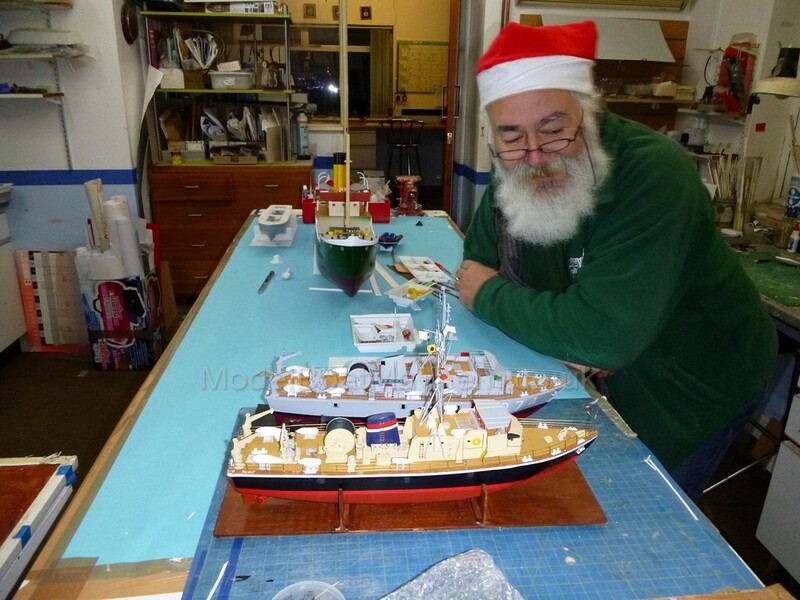 I see that Santa Carl, sorry Claus, was there! 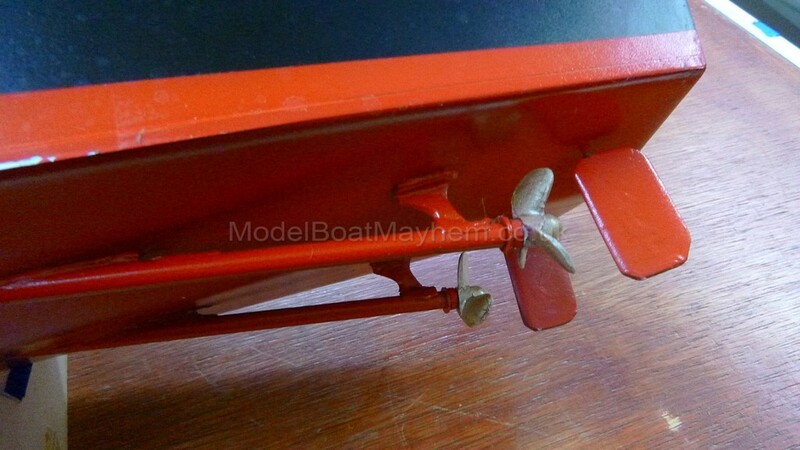 Seems like a very nice event.